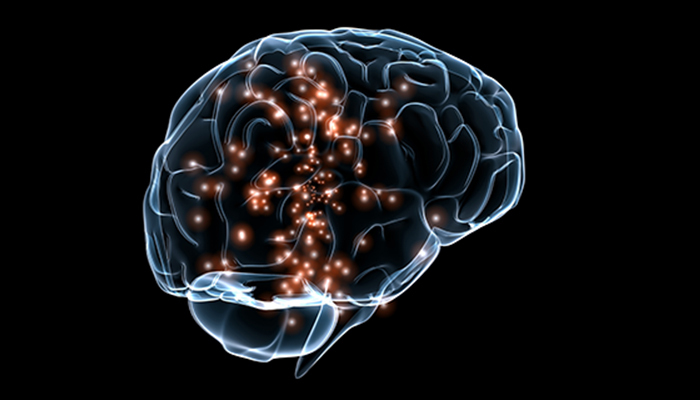 Neurodata Without Borders: Neurophysiology (NWB:N) is a project to develop a unified data format for cellular-based neurophysiology data. 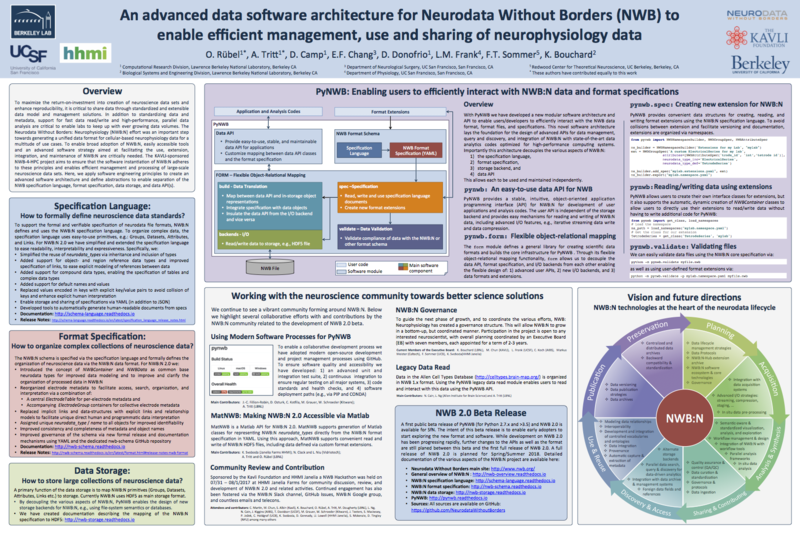 The NWB:N team consists of neuroscientists and software developers who recognize that adoption of a unified data format is an important step toward breaking down the barriers to data sharing in neuroscience. 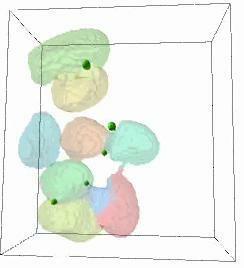 Neuroscientists can now explore a beta version of the new Neurodata Without Borders: Neurophysiology (NWB:N 2.0) software and format. 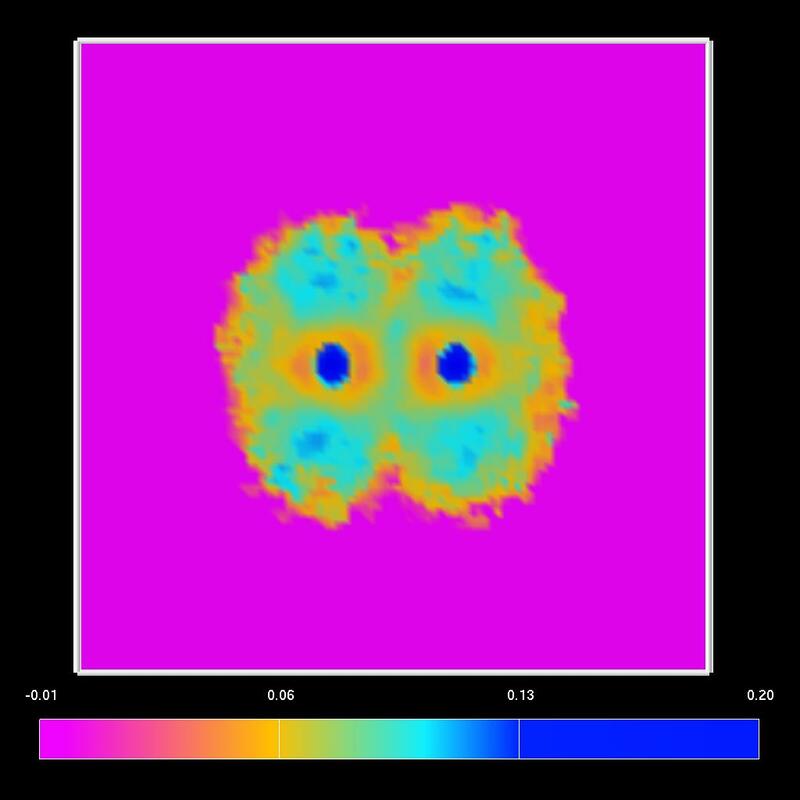 The 2.0 software version was developed by Lawrence Berkeley National Laboratory's Oliver Ruebel and Andrew Tritt, in close collaboration with Kristofer Bouchard (Berkeley Lab), Loren Frank (UCSF), Eddie Chang (UCSF), and the broader Neurodata Without Borders (NWB) community. The beta update was released in November 2017 in conjunction with the 2017 Society for Neuroscience meeting in Washington D.C. last month. For more information download the PDF of the poster by clicking on the image on the left and see the following LBNL news article. The NWB:N format schema and PyNWB Python API have been released to the public online on GitHub. 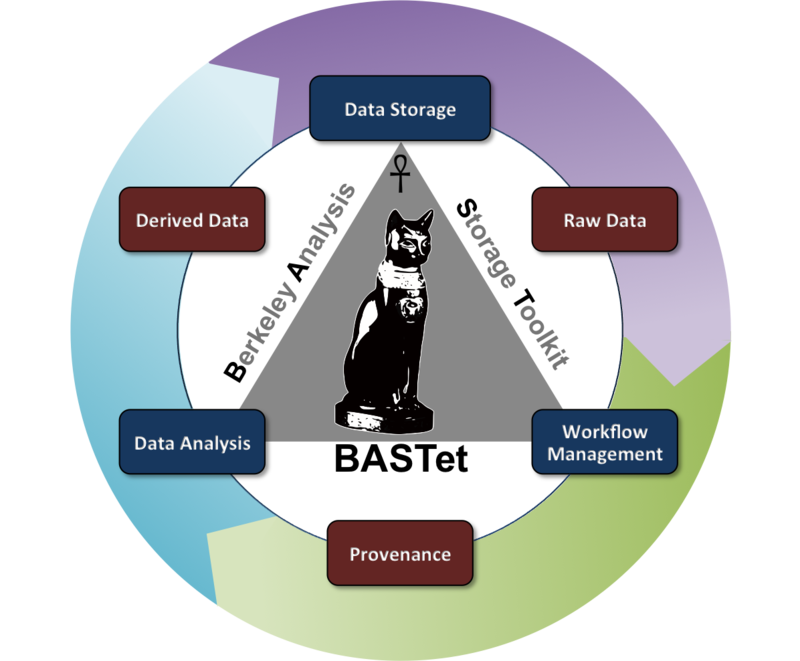 BASTet is a novel framework for shareable and reproducible data analysis that supports standardized data and analysis interfaces, integrated data storage, data provenance, workflow management, and a broad set of integrated tools. BASTet has been motivated by the critical need to enable MSI researchers to share, reuse, reproduce, validate, interpret, and apply common and new analysis methods. For more information see the BASTet homepage as well as the IEEE TVCG article on BASTet. BASTet has been released to the public; Sources (GitHub) and the Online Documentation. 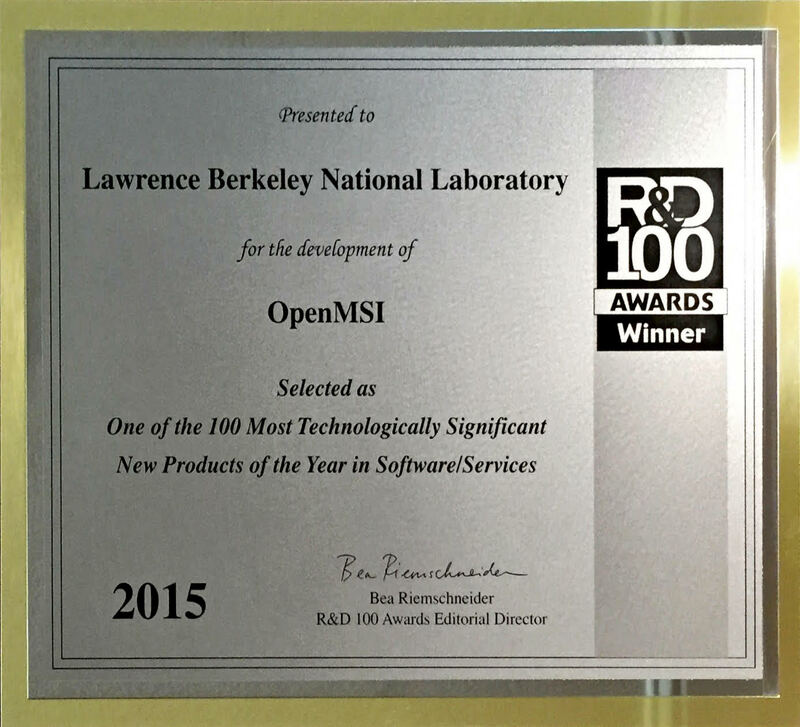 The OpenMSI software/service developed by Oliver Ruebel and Benjamin P. Bowen (LBNL) was selected as "One of the 100 Most Technologically Significant New Products of the Year in Software/Services." Thanks to standardized image file formats---like JPEG, PNG or TIFF---people can easily share selfies and other pictures with anybody connected to a computer, mobile phone or the Internet, without having to download any special software to see the pictures. But in many science fields---like neuroscience---sharing data is not that simple because no standard data format exists. 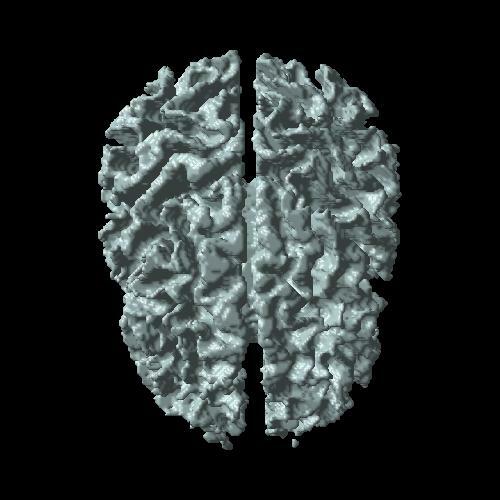 The BrainFormat library developed at LBNL specifies a general data format standardization framework based on the widely used HDF5 format and implements a novel file format for management and storage of neuroscience data, in particular Electrocorticography (ECoG) data. 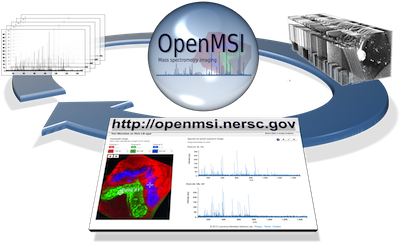 OpenMSI is a collaborative research effort with the goal to make the most high-performance, advanced data management, model building, analysis and visualization resources for mass spectrometry imaging accessible to scientists via the web. 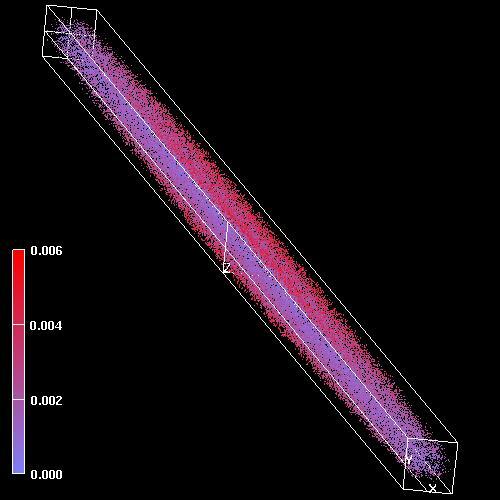 The development and application of cutting-edge analytical methods is a core driver for new scientific discoveries, medical diagnostics, and commercial-innovation. 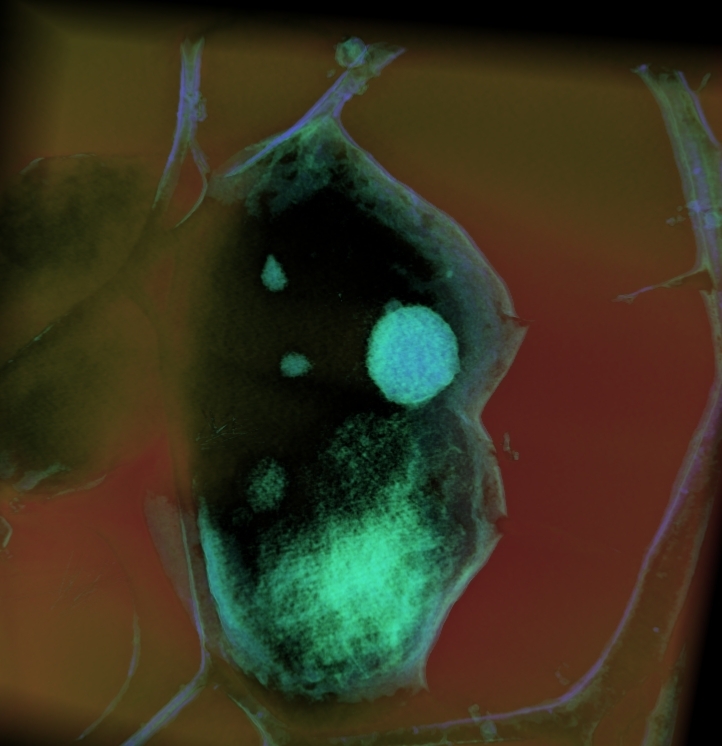 Mass spectrometry imaging (MSI) holds the promise for being a transformative technology for advanced studies of metabolic processes with broad applications in life sciences, bioenergy, and health. 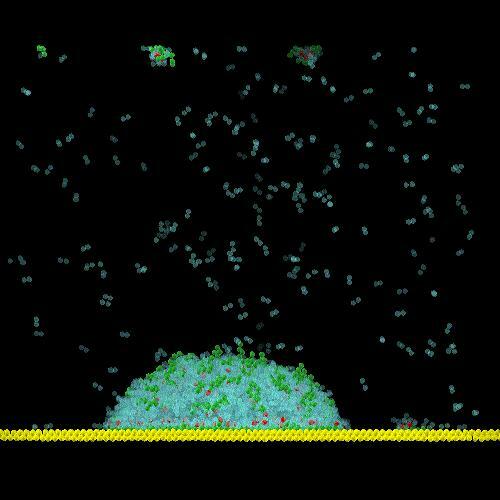 MSI enables fast assays of microbial metabolism essential in bioengineering problems common to the development of biofuels, drugs, and diagnostics for cancer and other diseases. 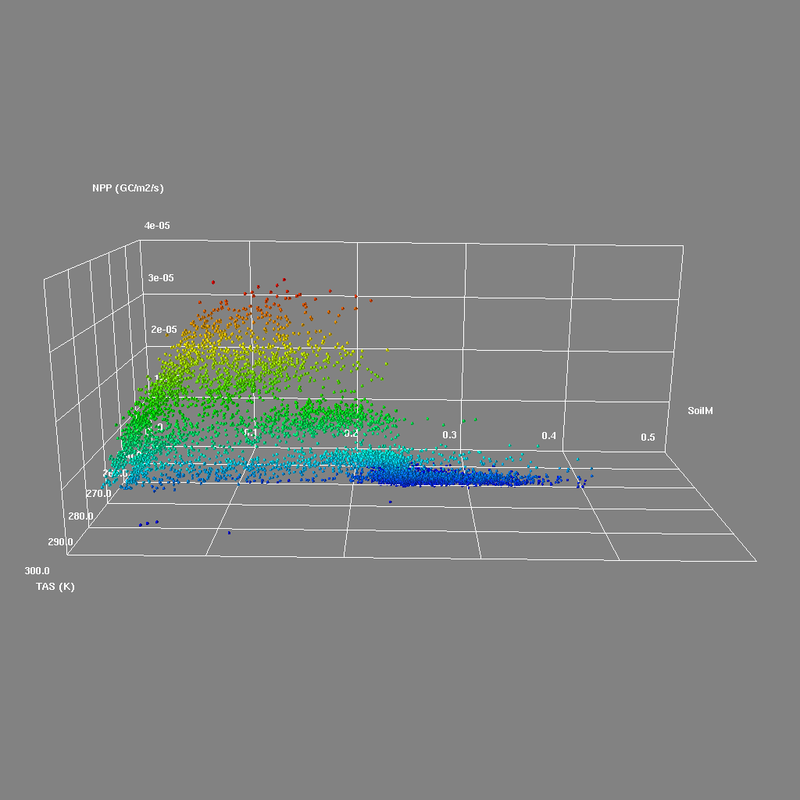 While the data can be routinely collected, the broad application of MSI is currently limited by the lack of easily accessible analysis methods that can process data of the size, volume, diversity and complexity generated by MSI experiments. 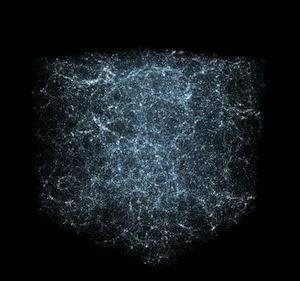 The OpenMSI project will overcome these challenges, allowing broad use of MSI to researchers by providing a web-based gateway for management and storage of MSI data, the visualization of the hyper-dimensional contents of the data, and the statistical analysis. 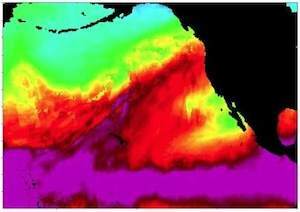 The U.S. Department of Energy's (DOE) Office of Environmental Management (DOE/EM) supports an effort to understand and predict contaminant fate and transport in natural and engineered systems. Geologists, hydrologists, physicists and computer scientists are working together to create models of existing, contaminated sites, and to simulate their behavior. 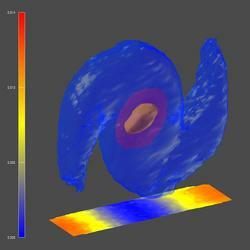 Simulation results are verified based on historical data and extrapolated into the future. Visualization is used for model setup verification, visual analysis of high-performance computing simulation results, and uncertainty quantification. 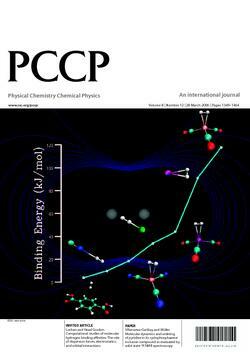 Researcher of the Accelerator & Fusion Research Division at Lawrence Berkeley National Laboratory (LBNL) utilize large-scale, high-resolution simulations of beam dynamics in electron linacs for studies of a proposed next-generation x-ray free electron laser (FEL) at LBNL (external link). 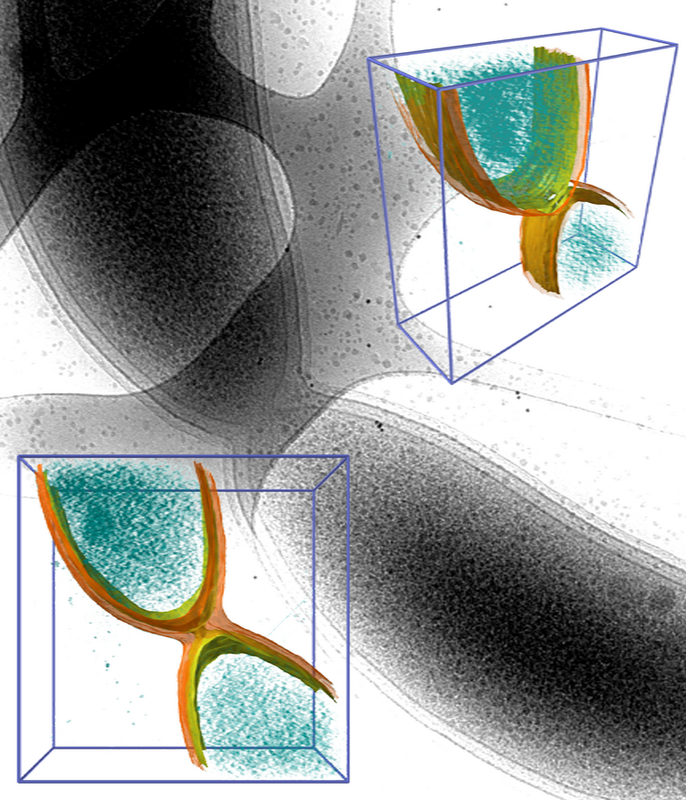 Particle-in-cell-based simulations of this type of accelerator require large numbers of macroparticles (> 108) to control the numerical macroparticle shot noise and to avoid overestimation of the microbunching instability, resulting in massive particle datasets. The sheer size of the data generated by these types of simulations poses significant challenges with respect to data I/O, storage, and analysis. For more information on how we address these challenges see here. 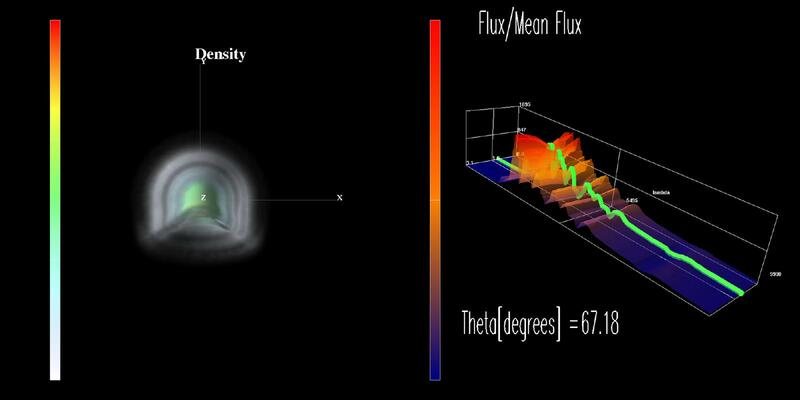 Deep inside a dying star in a galaxy far, far away, a carbon fusion flame ignites. 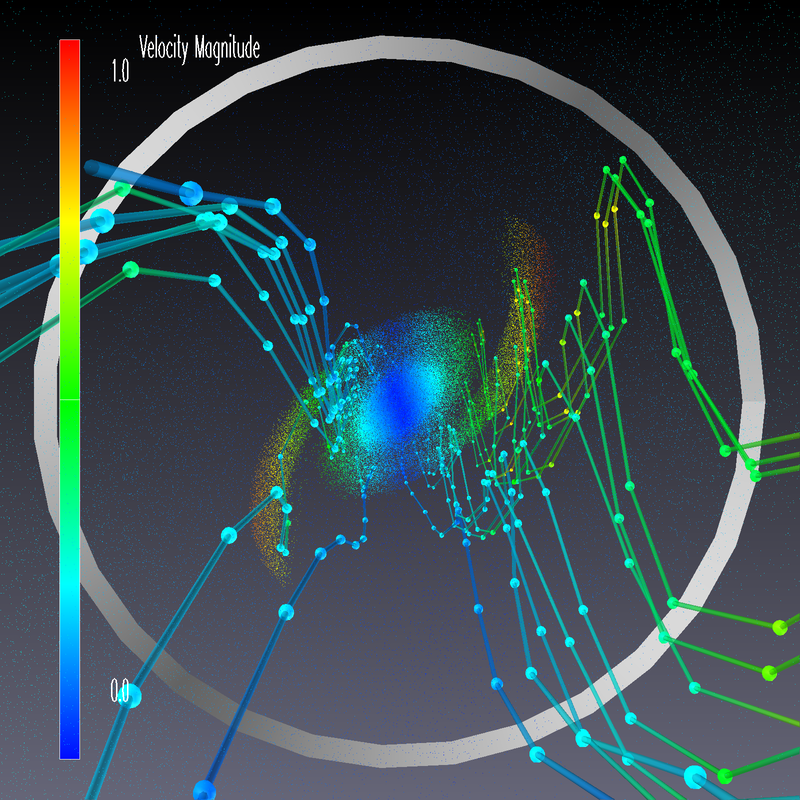 Ignition may happen in the middle or displaced slightly to one side, but this simulation explores the consequences of central ignition. 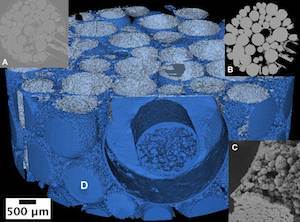 In a localized hot spot, represented here by a deformed sphere with an average radius of 100 km, carbon is assumed to have already fused to iron, producing hot ash (~10 billion K) with a density about 20% less than its surroundings. As the burning progresses, this hot buoyant ash rises up and interacts with cold fuel. 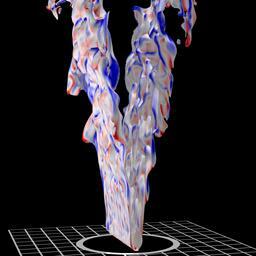 Rayleigh-Taylor fingers give rise to shear and turbulence, which interacts with the flame, causing it to move faster. 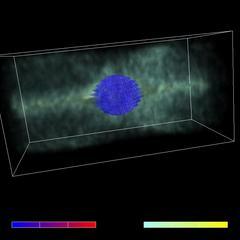 In about 2 seconds, the energy released blows the entire white dwarf star up, leaving nothing behind but a rapidly expanding cloud of radioactive nickel, iron, and other heavy elements. 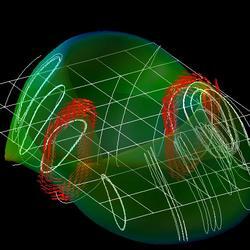 A Type Ia supernova is born. 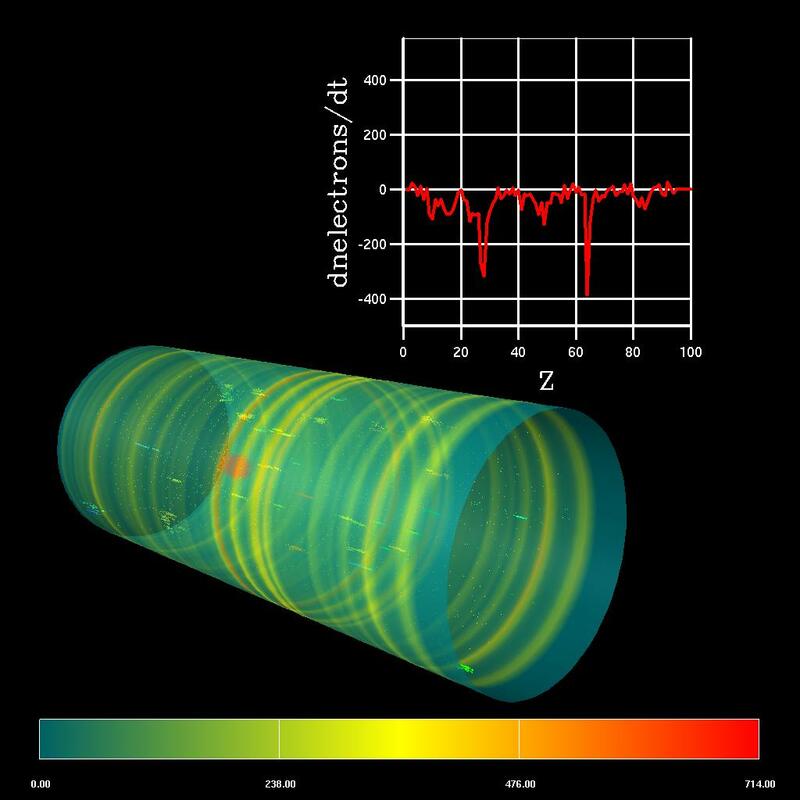 Credits: produced by Hank Childs of VACET in conjunction with members of the Computation Astrophysics Consortium (CAC): Haitao Ma and Stan Woosley of UC Santa Cruz, and John Bell, Ann Almgren, and Andy Nonaka of LBL. Visit also the other related vignette pages with more detailed information about the individual efforts. 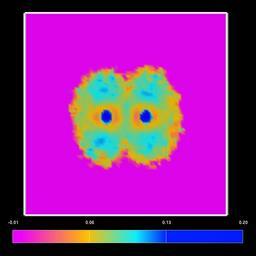 This vignette is part of an ongoing collaboration with the LOASIS program at LBNL. For an overview of the various efforts within that project see here. 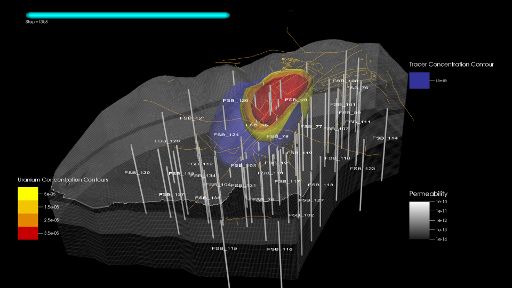 We are working with geophysicists in the Earth Sciences Division (ESD) at LBNL to generate 3D visualizations of microearthquake data from geothermal sites. The importance of this work is that it provides the means for the geothermal site operators - and the public - to see where microearthquakes are occurring as geothermal energy is produced at a site. The 3D visualizations are being made available via a Web site hosted by the ESD. 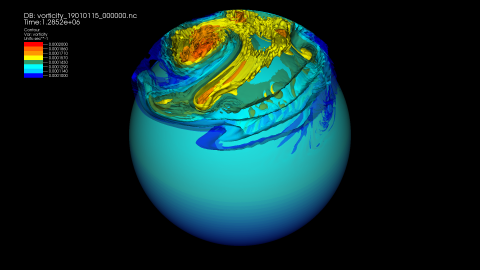 NERSC Analytics personnel supported climate scientists from GFDL/NOAA in running large scale runs of their next generation CM2.4 and c180 models at very high resolutions. In order to efficiently render the large datasets, VisIt plugins were developed for the file formats. 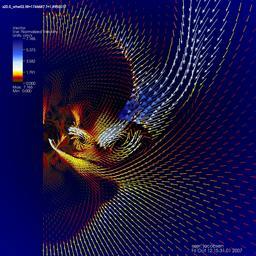 Custom visualizations depicting phenomena of interest (hurricane formation, etc) were also developed. More information. 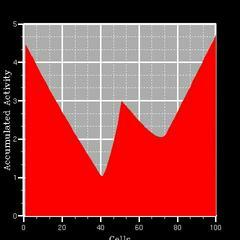 NERSC Analytics staff supported Incite12 collaborators in using VisIt for analyzing their simulation runs. We resolved a number of data import issues and enabled generation of publication-quality images. 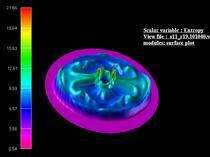 A number of tutorials on using VisIt for simulation data are provided. More information. 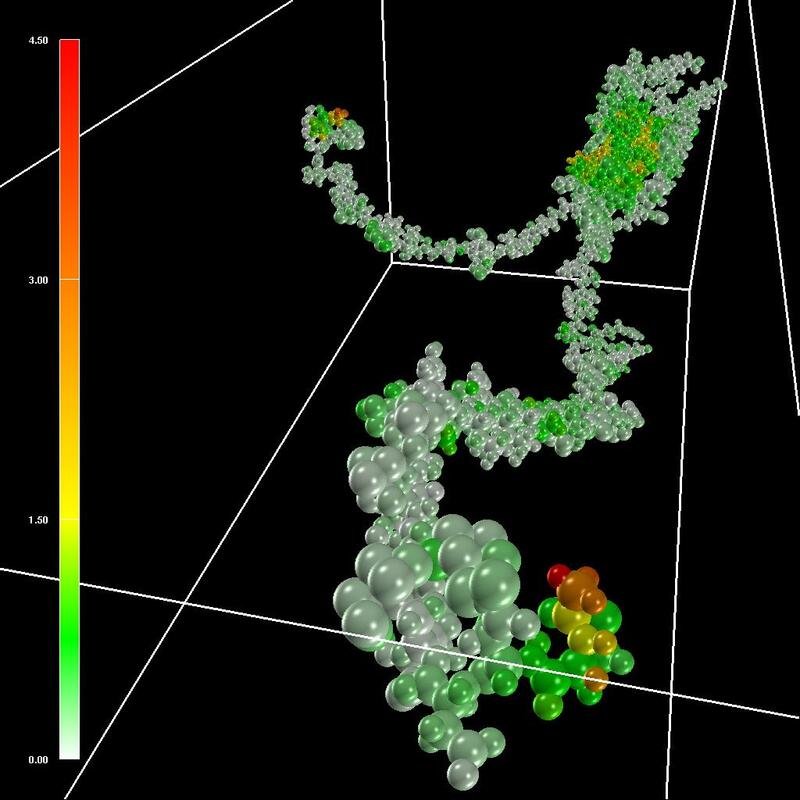 The Visualization Group participated in the design and implementation of Sunfall, a collaborative visual analytics system for the Nearby Supernova Factory (SNfactory), the largest data volume supernova search currently in operation. Sunfall utilizes interactive visualization and analysis techniques to facilitate insight into complex, noisy, high-dimensional, high-volume, time-critical data. 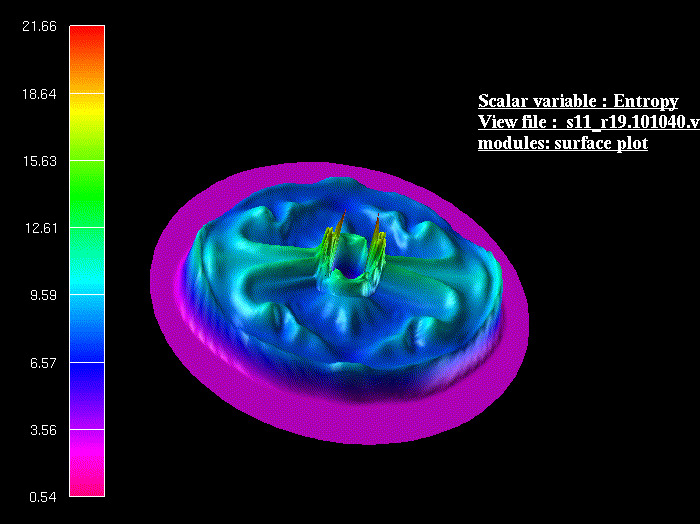 The image at left is from the "supernova details view" from the Supernova Warehouse, one component of Sunfall. 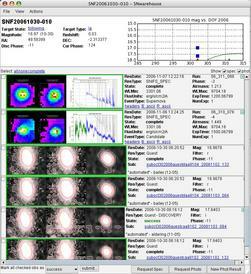 The details view enables access to photometric supernova images, spectral data, lightcurves, and associated metadata. 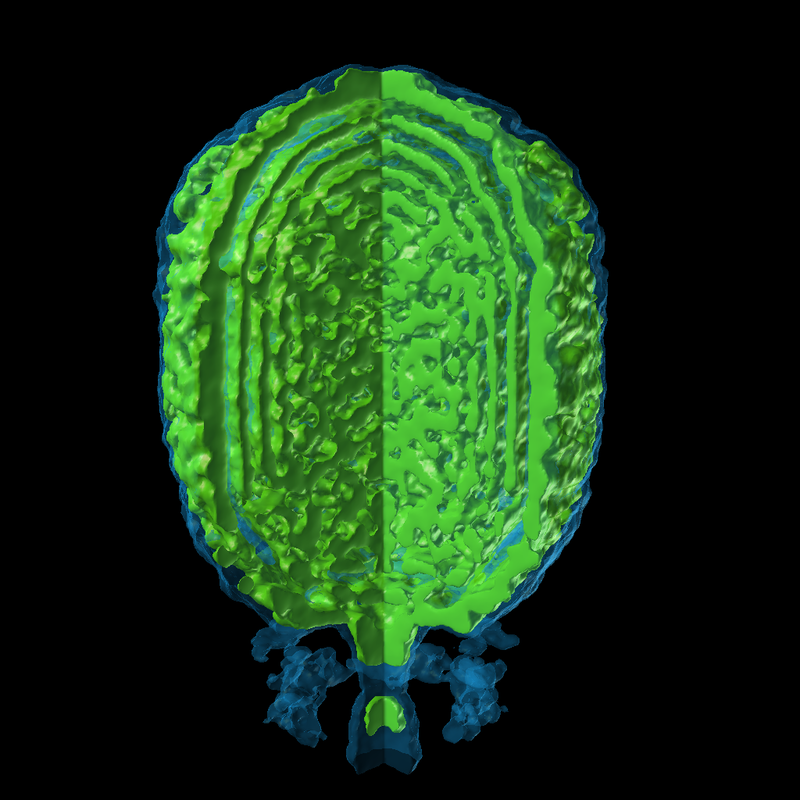 The Visualization group is writing a NIMROD HDF5 database plugin for VisIt (http://www.llnl.gov/visit). The plugin can be recompiled in unix platforms to use with a local version of VisIt or it can be used directly in davinci.nersc.gov. 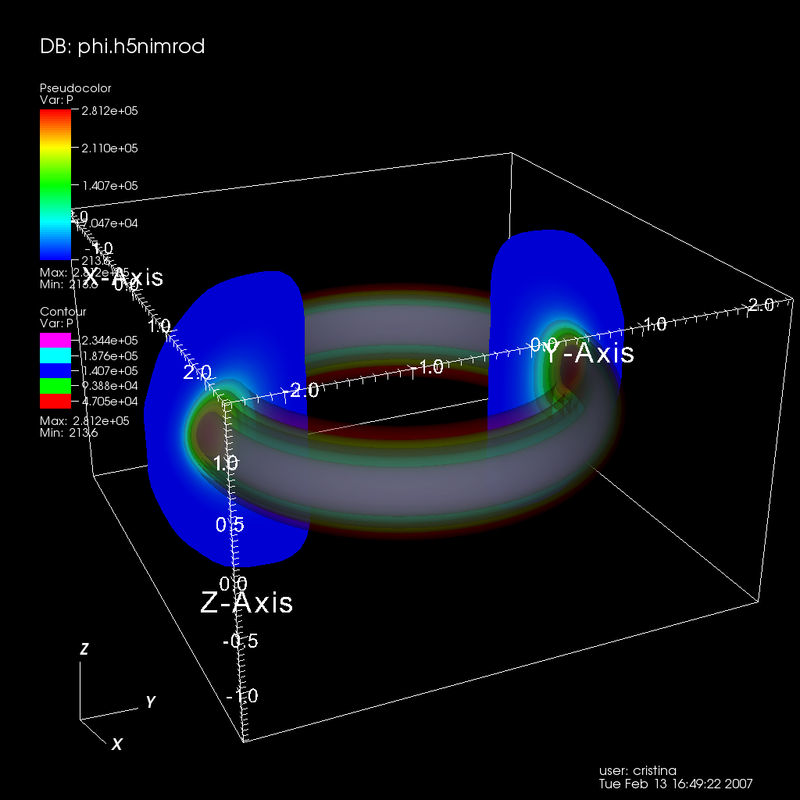 The HDF5 data model is specified in the Fusion Simulation Markup Language (FSML) project. 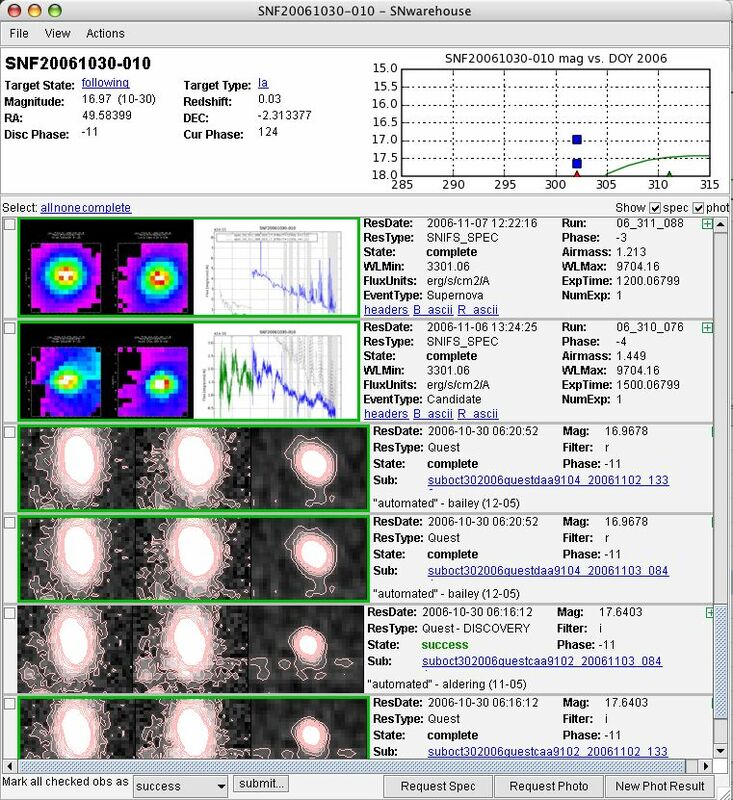 Members of the Visualization Group collaborated on the development of a fast contour descriptor algorithm which was applied to a high-volume supernova detection system (the Nearby Supernova Factory) Our shape-detection algorithm reduced the number of false positives generated by the supernova search pipeline by 41% while producing no measurable impact on running time. Because the number of Fourier terms to be calculated is fixed and small, the algorithm runs in linear time, rather than the O(n log n) time of an FFT. 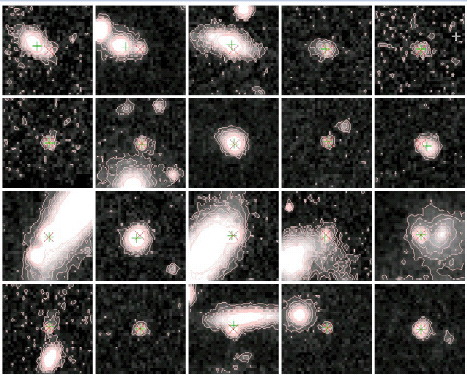 This work demonstrates the great potential impact that supervised learning has to improve the efficiency of large-scale digital sky surveys that are slated to collect terabytes of nightly imagery in search of celestial objects (SNAP, LSST, DES, Pan-STARRS). The Nearby Supernova Factory (SNfactory) is an international project to obtain spectrophotometry data on a large sample of Type Ia supernovae in a nearby redshift range in order to measure the expansion history of the universe. Members of the Visualization Group have used supervised learning techniques (Support Vector Machines (SVMs), boosted decision trees, random forests) to automatically classify all incoming subimages on a nightly basis and rank-order them by the classifier decision value, allowing astrophysicists to quickly examine the 20 or so most promising candidates arriving each morning. Particle-in-Cell Simulation of Laser Wakefield Particle Acceleration: A 2006 INCITE Project. 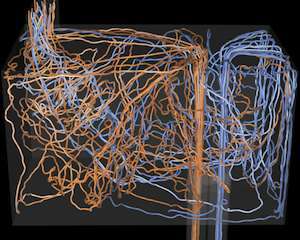 This project, led by Cameron Geddes of Berkeley Lab, was awared 2.5 million hours to perform detailed 3D models of laser-driven wakefield particle accelerators. These plasma-based accelerators are not subject to electrical breakdown and have demonstrated accelerating gradients thousands of times those obtained in conventional accelerators. The particle-in-cell simulations proposed in this study will interpret recent experiments and assist in the planning of the next generation of particle accelerators and ultrafast applications in chemistry and biology. 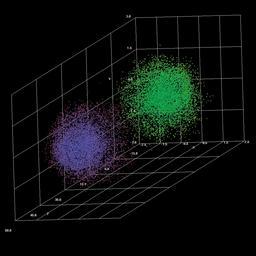 A fundamental aspect of large-scale, data-intensive computational and experimental science is the ability to quickly gain knowledge from large and complex collections of scientific data. To respond to this challenge, we have assembled a leading team of researchers and developers to tackle this very problem over a five-year period as part of DOE's SciDAC2 program. This effort marks the first SciDAC Visualization Center, and will play a key role in scientific knowledge discovery in the latter half of the first decade of the 21st Century. At the 2006 SciDAC meeting in Denver, CO held during June 2006, we presented a white paper and poster describing out team's approach. 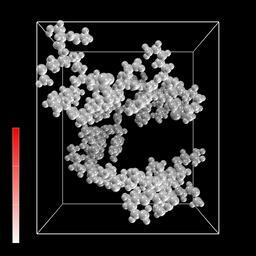 Cryo-EM and single molecule biophysical studies of dsDNA packaging in Bacillus subtilis bacteriophage Phi 29. Luis R. Comolli 1, Andrew Spakowitz 2, Cristina E. Siegerist 1, Shelley Grimes 3, Paul Jardine 3, Kenneth H. Downing 1, Dwight Anderson 3 and Carlos Bustamante 1,2. 1 Lawrence Berkeley National Laboratory, 2 Physics Department, University of California at Berkeley, 3 Academic Health Center, University of Minnesota. 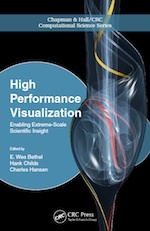 Query-driven visualization plays an important role in high performance visualization and data-intensive knowledge discovery. This case study explains the technology and shows how it is applied to a "hero-sized" network traffic analysis problem. E. Wes Bethel (CRD/LBNL), Scott Campbell (NERSC/LBNL), Eli Dart (ESnet/LBNL), Kurt Stockinger (CRD/LBNL), Kesheng (John) Wu (CRD/LBNL). This plot is a 3D view of 6000 months of net primary productivity, 2m air temperature and soil moisture at Harvard Forest generated by a coupled climate model (CSM1.4+Carbon) with biogeochemistry component in the land model. In space, gases and other matter often form swirling disks around attracting central objects such as newly formed stars. 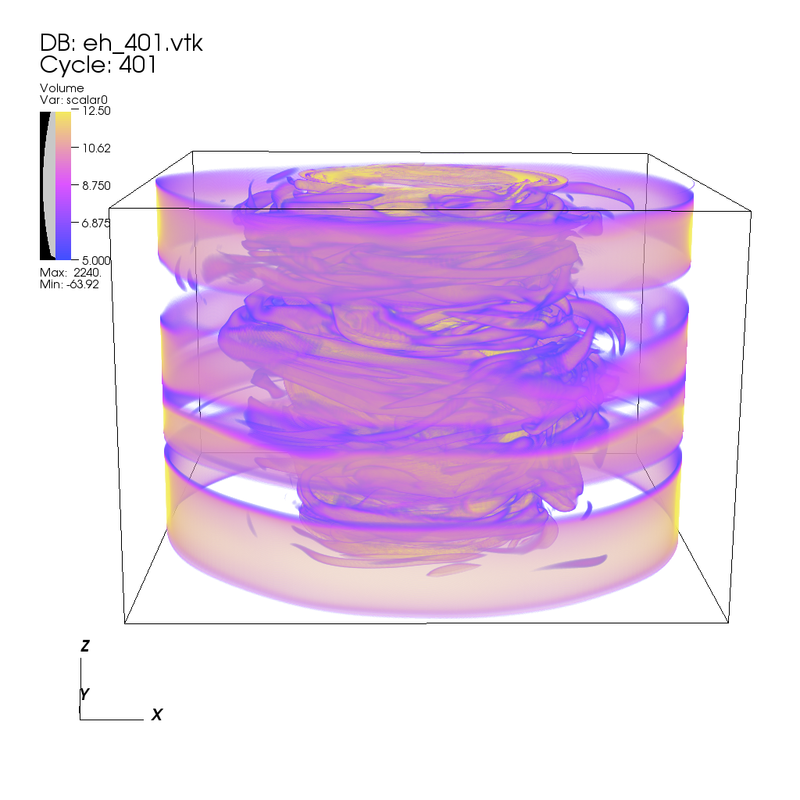 The presence of magnetic fields can cause the disks to become unstable and develop turbulence, thereby causing the disk material to fall onto the central object. 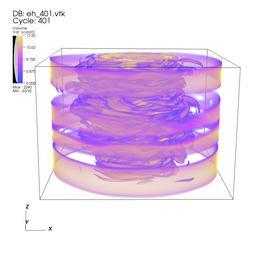 This project carries out large-scale simulations to test theories on how turbulence can develop in such disks. More information on this project. 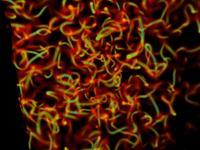 Life Sciences: Cell Division of Caulobacter Crescentus. 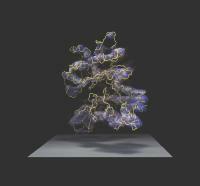 Composite image showing original 2D cryo electron microscopy image (center) and membrane models and volume rendering of the 3D recontruction (right upper corner and left lower corner). Ken Downing, Luis Comolli, LBNL. Curvature of a premixed combustion front. CCSE web page. 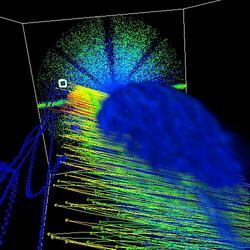 This image shows a proton beam moving along the beam pipe (z-axis) in the presence of an electron cloud. 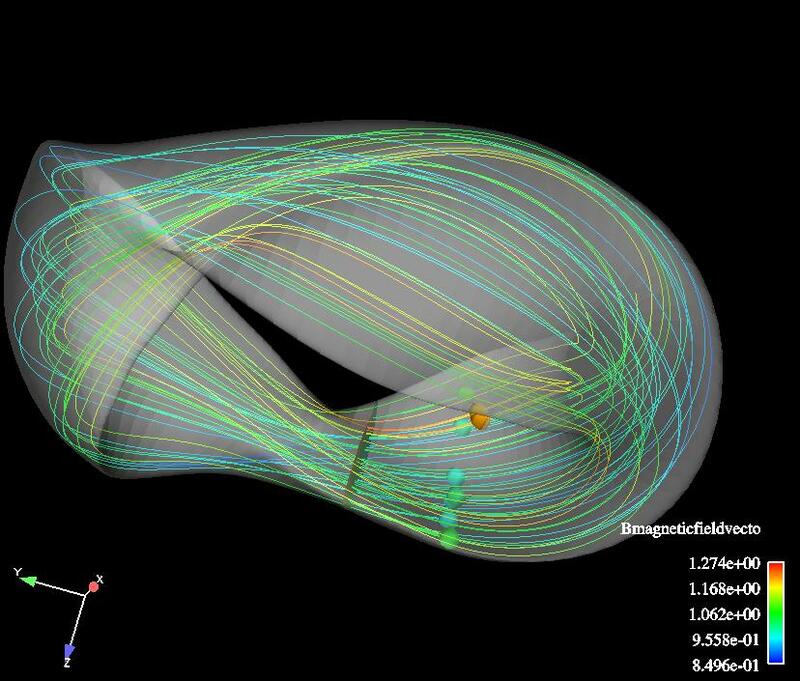 The proton beam is shown in red in the center of the pipe. The model, incomplete, you will see no velocity component for the electrons along the z-axis, was a first approximation to model the proton-electron interaction in the beam line. 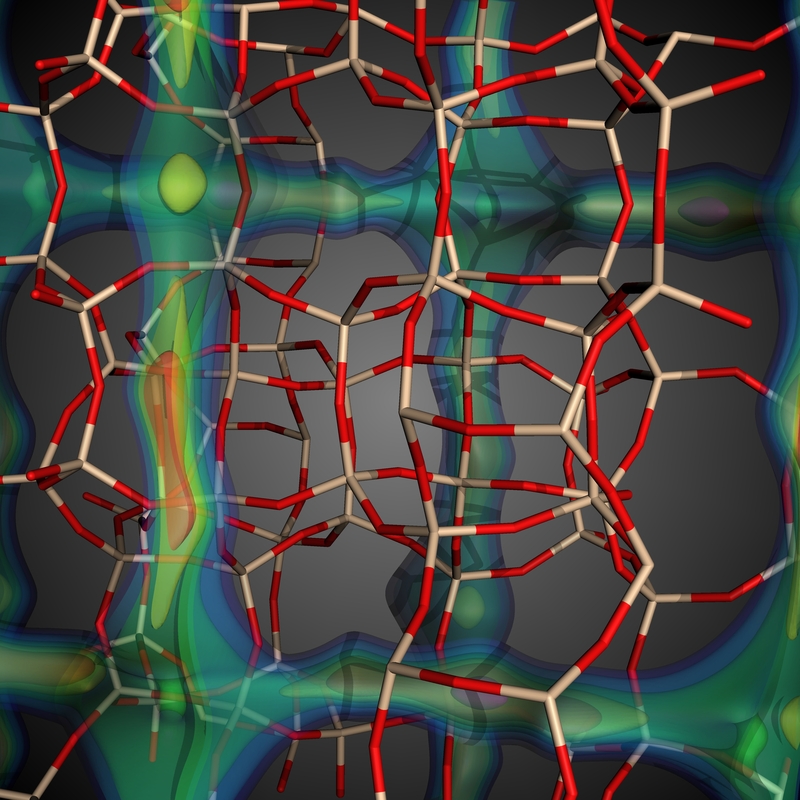 The pipe is colored by the electron density, the same information is shown in the upper graph. MPEG Movie of the simulation (4.8MB). More images soon. 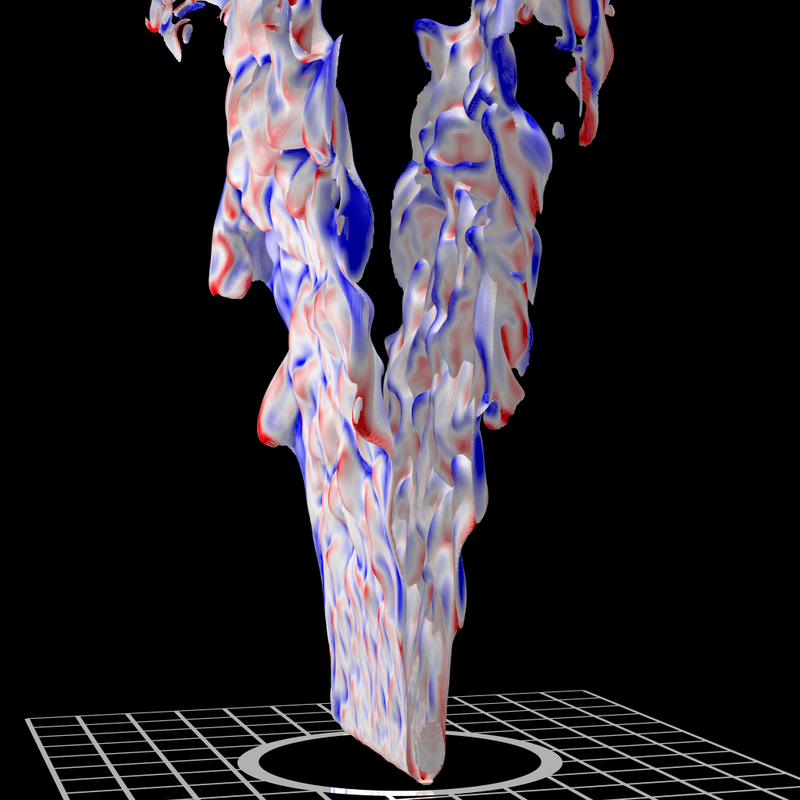 Visualization of Fluid Turbulence using AVS/Express, CEI/Ensight and Paraview. 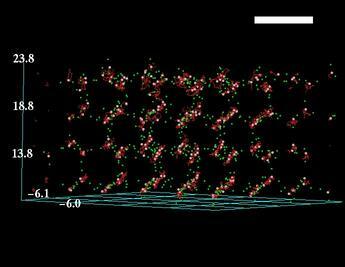 Visualization Helps Provide Insight into 3D Fluid Turbulence and Mixing at High Reynolds Number. 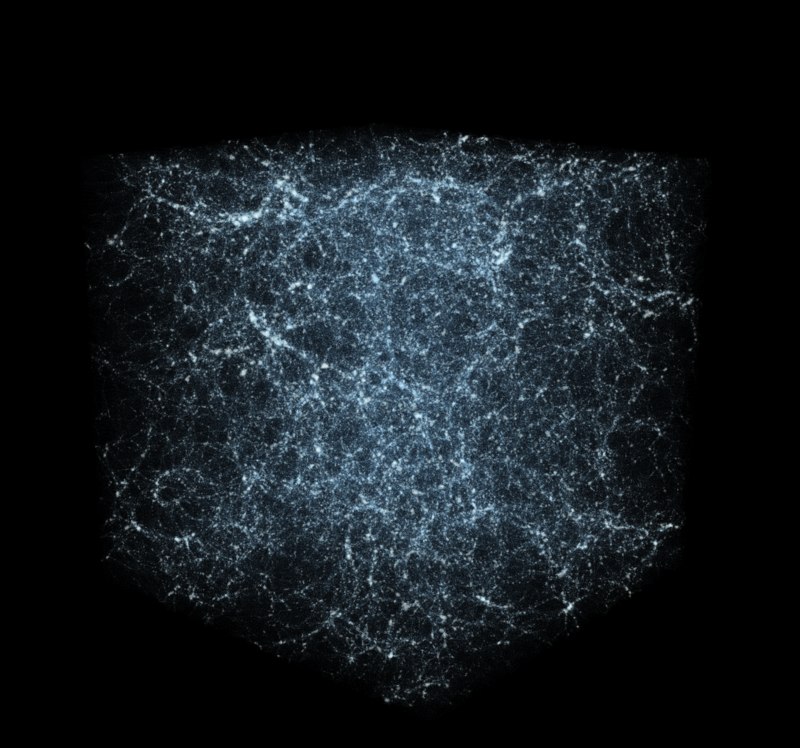 The MBender project explores the use of QuickTime VR Object Movies to deliver interactive, 3D scientific visualization to the desktop in a remote and distributed visualization setting. 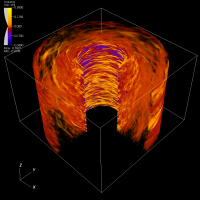 Adaptive Mesh Refinement (AMR) is a technique for automatically refining (or de-refining) regions of a computational domain during a numerical calculation based upon application-specific criteria, like flamefront tracking during a combustion simulation. The multiresolution and hierarchical nature of AMR grids presents special challenges for mainstream visualization tools, which typically can operate only on single grid domains. 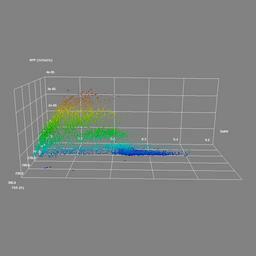 At SC04, the LBNL Visualization Group will show ongoing AMR visualization activities. 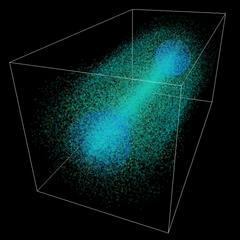 First, LBNL's hardware-accelerated volume renderer is being used to create images for a PBS special movie on cosmology. Second, the group will demonstrate use of custom data converters that permit AMR grids to be visualized using CEI's Ensight and LLNL's Visit, both of which are applications that implement a pipelined/parallel architecture and are effective in remote and distributed visualization contexts. 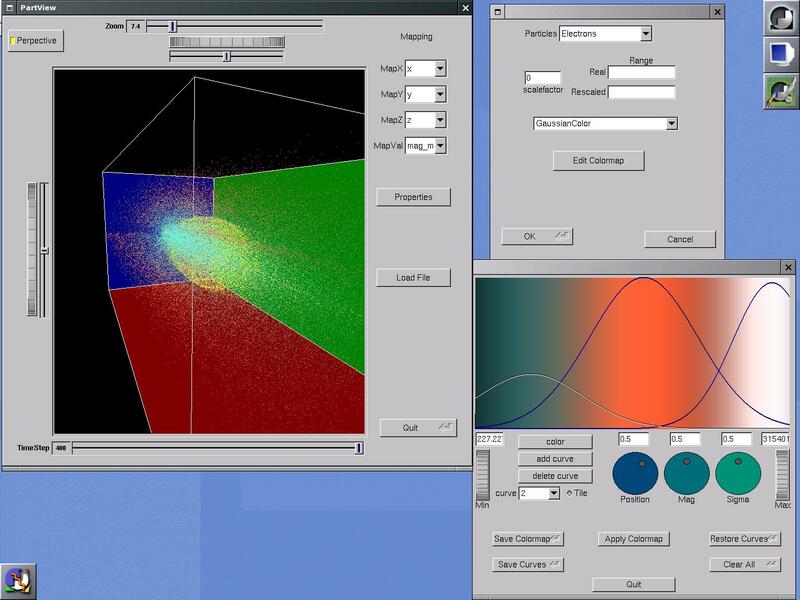 ModelBuilder is an application to build a model of surfaces from 3D volume data (uniform mesh). Click here for details . 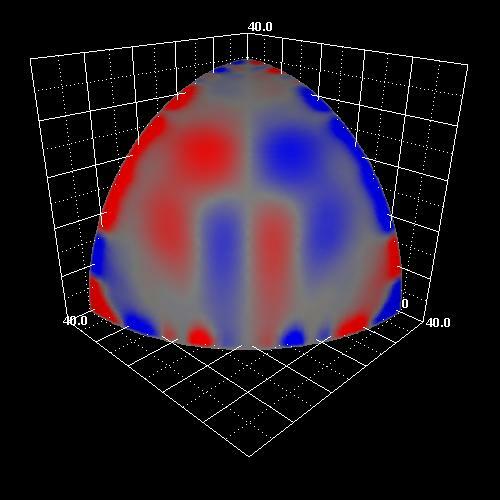 Atomic physics plays a central role in many of the high temperature and high density plasmas found in magnetic and inertial confinement fusion experiments, which are crucial to our national energy and defense interests, as well as in technological plasmas important to the US economic base. 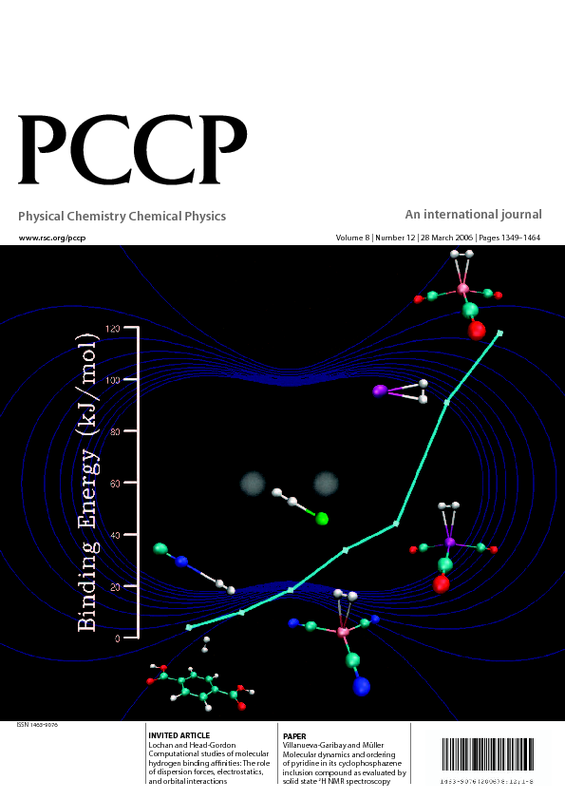 In turn, the development of the necessary atomic physics knowledge depends on advances in both experimental and computational approaches. 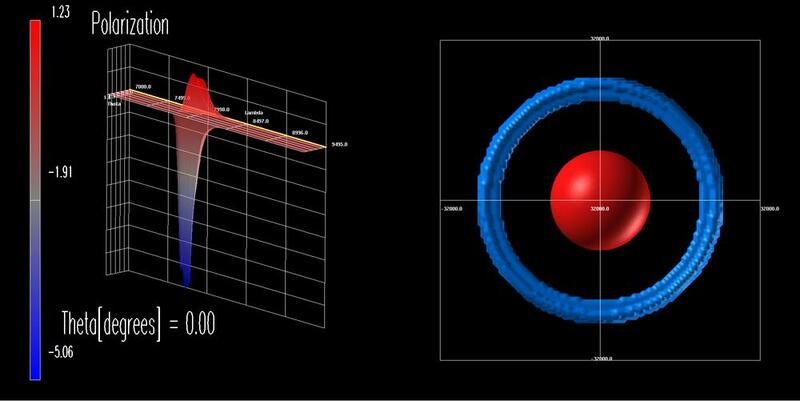 The Computational Atomic Phyics for Fusion SciDAC project hosted at NERSC is producing early results simulating time evolution of a wavepacket scattering from a Helium atom. Click here for details. Protein energy minimization using OPT++. 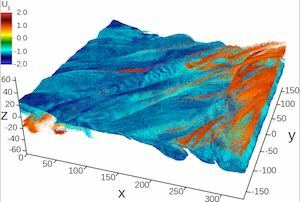 Visualization of 3D surface vector data from a plasma flow simulation on an irregular grid with AVS/Express. 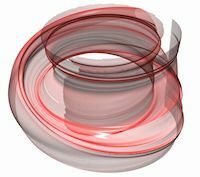 The AVS/Express streamlines or advector modules do not display streamlines of a vector field on a 2D surface in 3D space, binning the field to a uniform 3D grid allowed the user to visualize streamlines in the 2D surface. 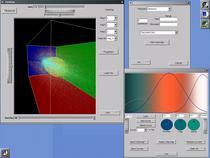 Trajectories of electrons selected interactively with a box widget in the projection of the last simulation step along the z direction. 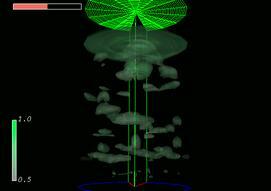 The proton beam is rendered as volume density data. The trajectories are rendered as splines colored by the magnitude of the velocities. 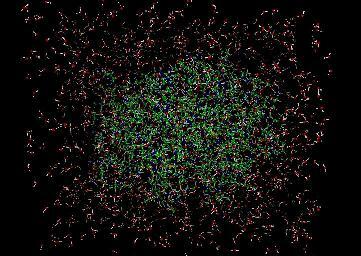 Electron cloud rendered as volume density and proton beam rendered as particles (MPEG, 5.8M) (Quick Time, 84M). 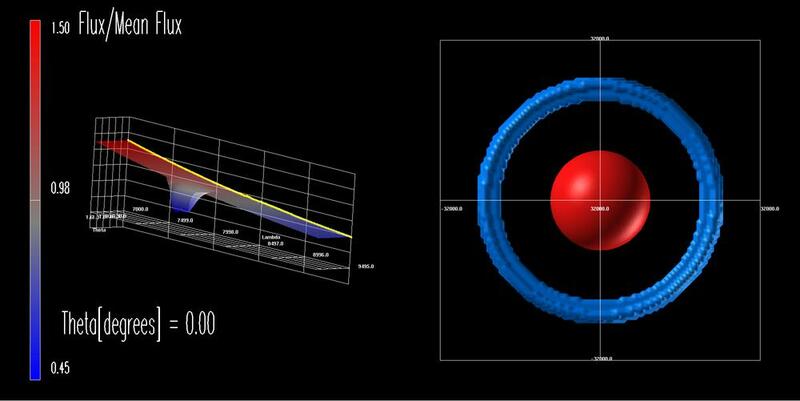 The color bar on the left encodes the magnitude of the proton velocities and the one on the left the density of electrons. 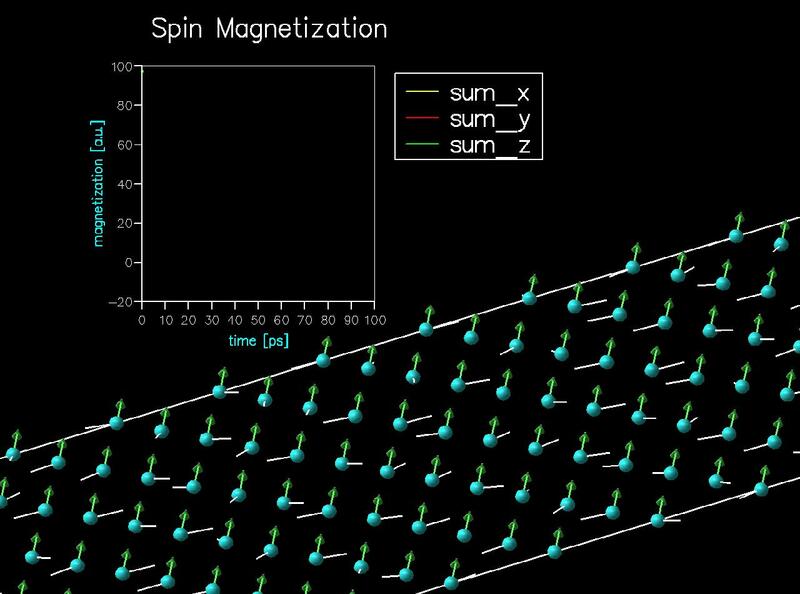 Monte Carlo simulation of the D'yakonov-Perel' spin relaxation mechanism: Simulation showing the time evolution of the individual spins of an ensemble of 169 electrons in a zincblende. 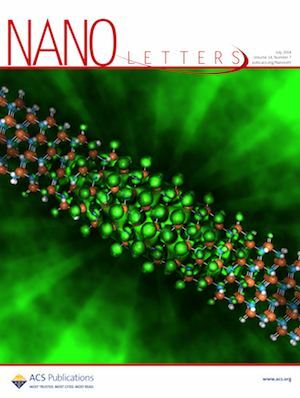 The local effective magnetic fields (white) and the precessing spins (green) are shown subject to pseudorandom scattering events as determined from Monte Carlo techniques. The time dependence of the three components of the total magnetization is shown in the line graph. Movies are presented for a  substrate with structural inversion asymmetry (SIA) effects only (MPEG), bulk inversion asymmetry (BIA) and SIA when these effects have equal magnitude (MPEG), and for a  substrate with, again, BIA and SIA effects equal, where the spin lifetime of all three components is enhanced (MPEG). 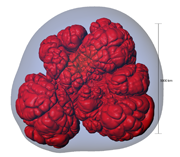 Continuing the work with the calculation of a supernova atmosphere for different geometries. 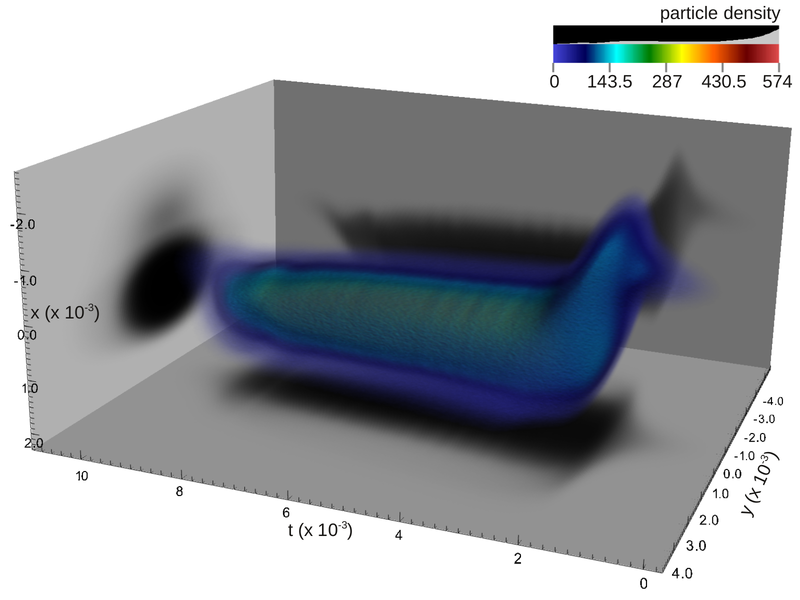 Simulation of photons emitted from the supernova. To see a small test MPEG movie of the emission of photons click here (29M). For a larger MPEG click here (132M). 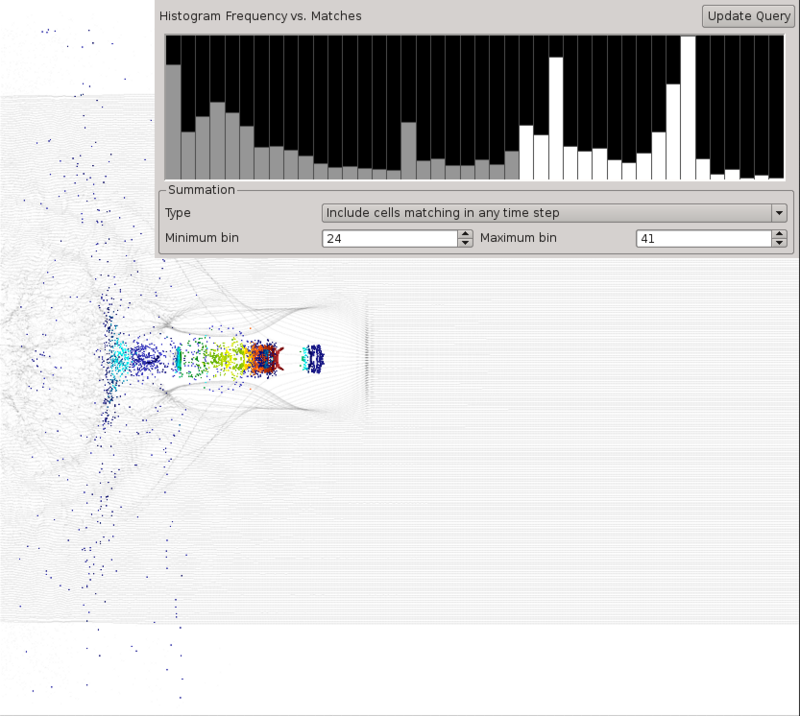 A montage of the emission of photons and the spectrum is here. The AMBER empirical energy of protein 1e0m was minimized using OPT++. 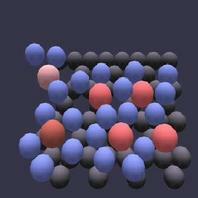 In this visualization, the atoms are colored according to their displacement on consecutive minimization iterations. The initial configuration was constructed using ProteinShop. 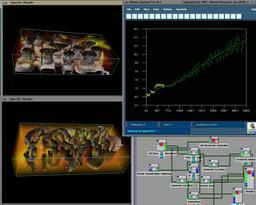 Folding evolution MPEG movies: with backbone(22M) and without backbone(21M), QuickTime movies: with backbone(133M) and without backbone(127M). 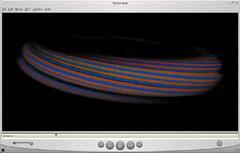 MPEG movie colored with the absolute distance with respect to the initial position. The AMBER empirical energy of protein T162 was minimized using OPT++. Folding evolution MPEG. Large scale simulations performed on NERSC's IBM/SP supercomputer help accelerator physicists understand the electromagnetic interaction between beams in a collider. 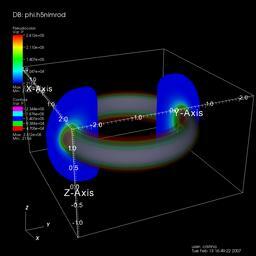 These figures show a collision between two bunches of particles. (MPEG) See below for more information. New work with the Beam Simulation data shows the time evolution in the x-PhaseX (MPEG) plane and in the y-PhaseY plane (MPEG) for 409 time steps. 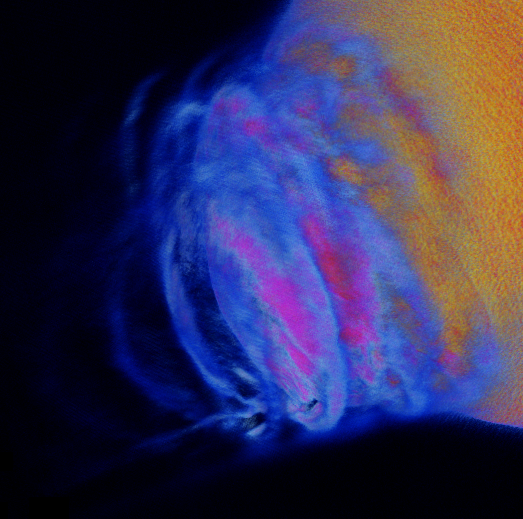 The color encoding shows the magnitude of the velocities. More information. 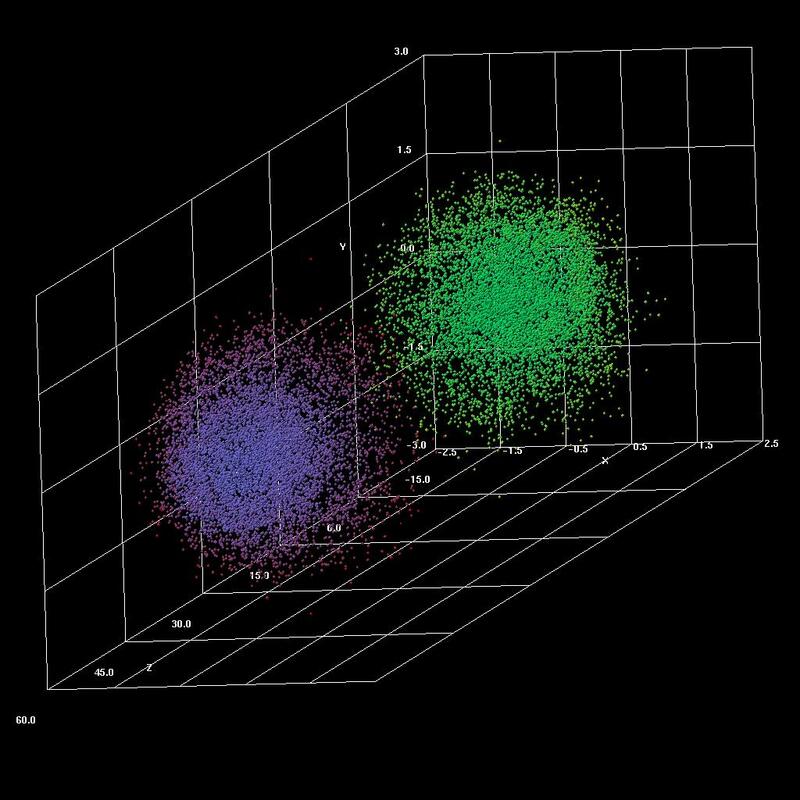 This visualization shows the automatic detection of cell structures and localization of protein expression from a volumetric dataset. This is an important step in large scale analysis of cultured colonies and understanding their intercellular interactions. The focus of this initial study is to determine the frequency of gap junction protein complexes as a function of various treatments. 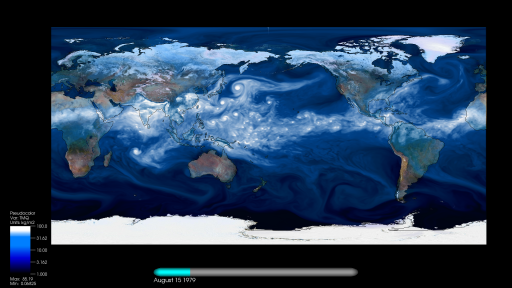 Click on the image to see a 360 degree view of the dataset. 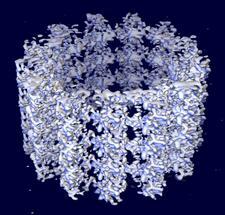 Simulation of the collapse of iron cores in the explosion of a supernovae. 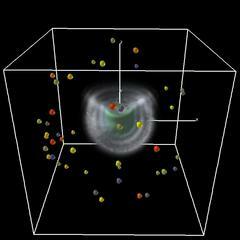 The image represents the entropy values during a particular timestep of a supernova formation. 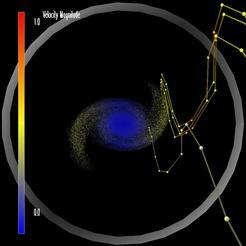 There is mounting evidence that galaxy interactions play an important role in galaxy evolution. 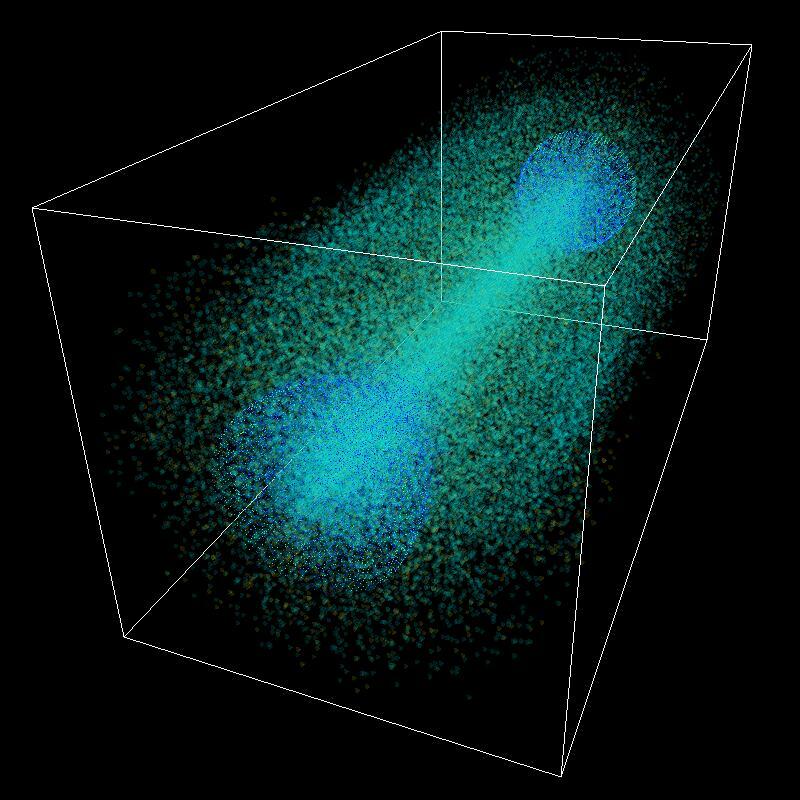 Elliptical galaxies, spiral bulges, and a significant fraction of all the stars in the universe may be byproducts of galaxy mergers, especially mergers at high redshift. Hydrodynamical simulations of galaxy interactions have given evidence of the role mergers play in galaxy evolution, but the galaxies used in these simulation have primarily been of equal mass, with low gas fractions typical of spiral galaxies in the local universe. 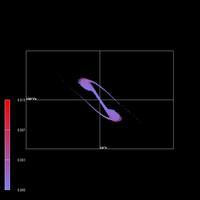 In order to better understand the roles mergers play in galaxy evolution we are using high resolution simulations, including hydrodynamics and star formation, to investigate the full parameter space of pre-merger galaxy properites and interaction parameters. 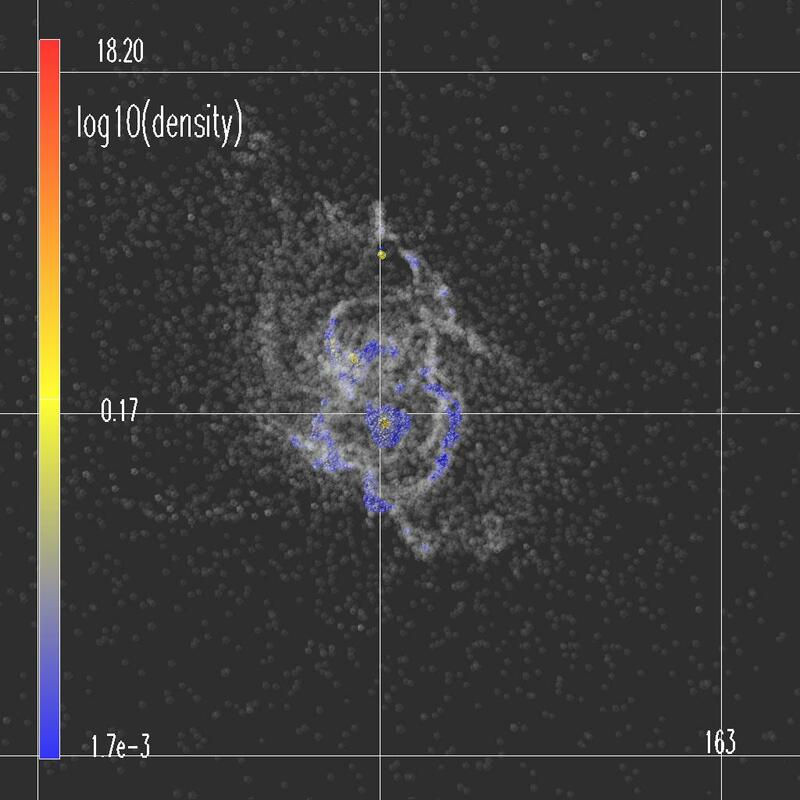 A main goal of our work is modeling the star formation rates and the morphology of interacting galaxies in various wavelengths. 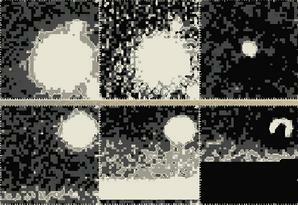 Time evolution MPEGs of Gas stars with sfr > 0 zoomed, zoomed with a reference grid, not zoomed. Time evolution of all Gas stars MPEG . 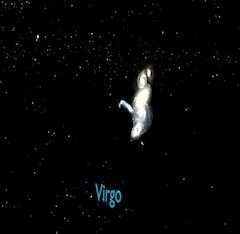 Time evolution of the trayectories of stars MPEG . These figures show a spectrum synthesis calculation of a supernova atmosphere surrounded by a toroid. The layout of the atmosphere is presented on the right while at the left we have a graph of the flux vs. wavelength vs. viewing angle (Figure A) and of the polarization vs wavelength vs. viewing angle (Figure B). 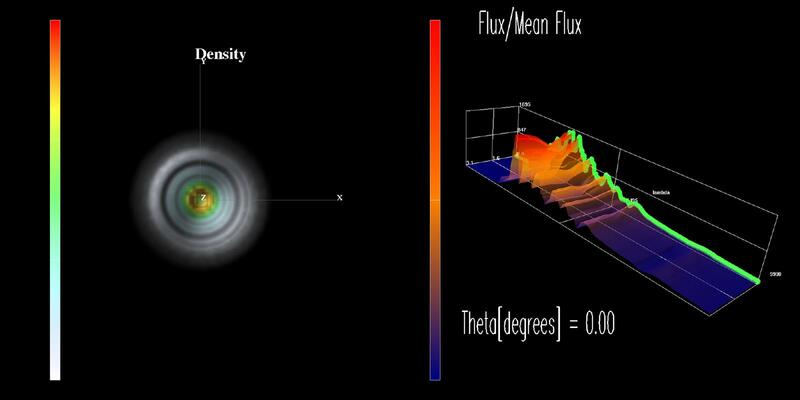 For viewing angles where the toroid obscures the underlying atmosphere, a strong absorption feature appears in the flux spectrum. 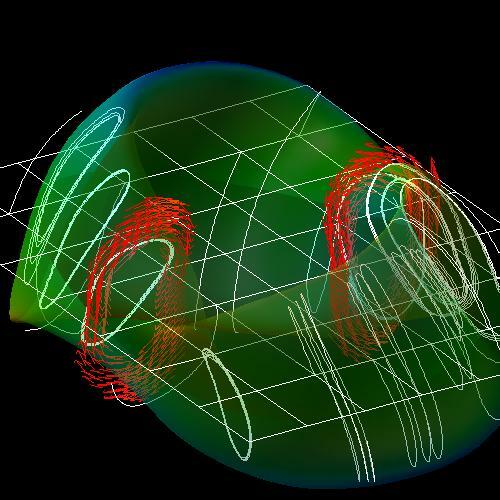 Observations of such a feature allows one to determine the 3-dimensional geometry of the supernova ejecta, and hence put strong constraints on the progenitors and explosion physics of Type Ia supernovae. Flux as a function of viewing angle MPEG. Polarization as a function of viewing angle MPEG. Montmorillonite is a common clay mineral with a layered structure and a range of permanent negative charge which allows cations and water molecules to enter the space between clay layers, also known as the interlayer. 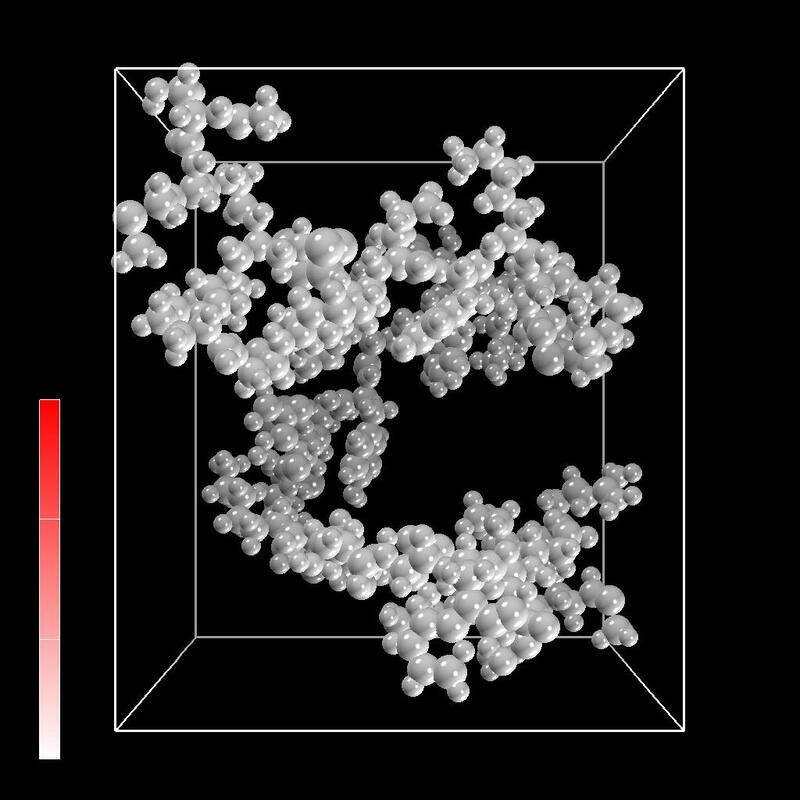 Click on the image to see a 50 ps portion of a molecular dynamics simulation of the interlayer region of Cs-montmorillonite. More information. This figure shows three electron microscope images of DNA toroids accompanied by computer simulations of toroids in corresponding orientations. 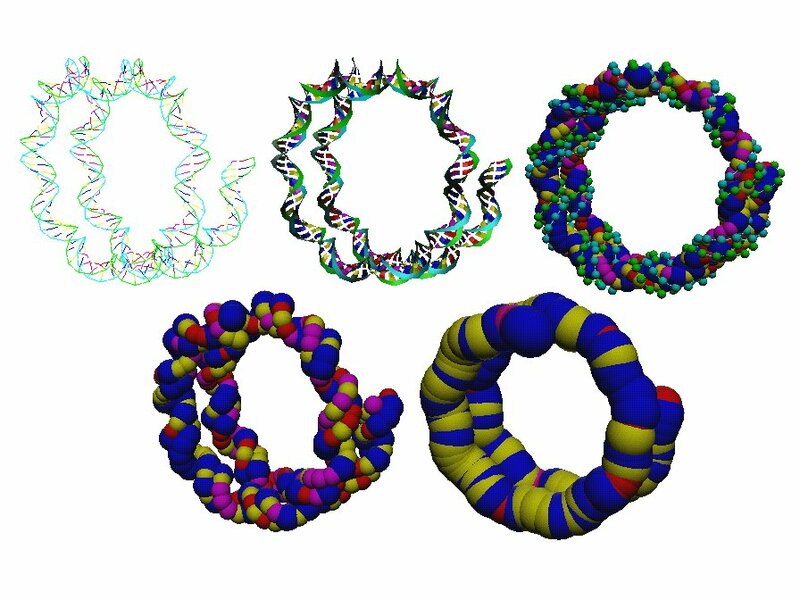 This work is motivated by interest in the behavior of DNA, which is sometimes naturally packed into toroidal arrays, and has application for DNA packing in genetic therapies. More information. 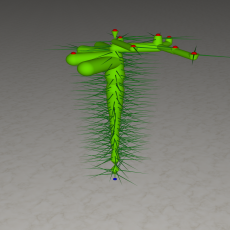 This image shows a 3-D reconstruction of an intact microtubule, obtained using cyro-electron microscopy and image processing at a resolution of about eight Angstroms. Microtubules play fundamental roles throughout the life of eukaryotic cells. More information. The nonlinear Schrodinger equation (NLS) is a ubiquitous equation that naturally arises in weakly nonlinear systems whose wave dispersion relation is also a function of amplitude. It is an ideal testing ground for quantum lattice gas algorithms because exact solutions are known for the NLS equation. In particular, some of these exact solutions are solitons - nonlinear localized wavepackets that retain their identity even after collisions with other wavepackets. 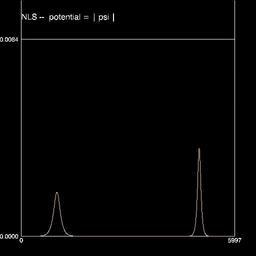 Click on the image to see the time evolution of two soliton-like intial conditions under the NLS equation with potential V = |psi|. 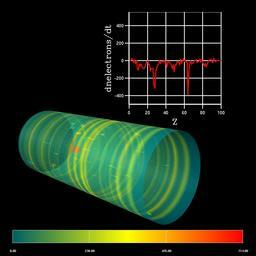 The two solitons are unstable and break up resulting in coherent structures(solitons) interacting with a turbulent sea of very small amplitude solitons. The collisions of the coherent structures do not destroy these structures. The LEDA experiment is an experiment at Los Alamos National Laboratory to study the generation of halo particles in a periodic transport system. 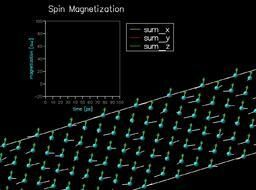 These images and the movie clips: rotating view of a time step MPEG, time evolution MPEG, show the particle phase space (i.e. 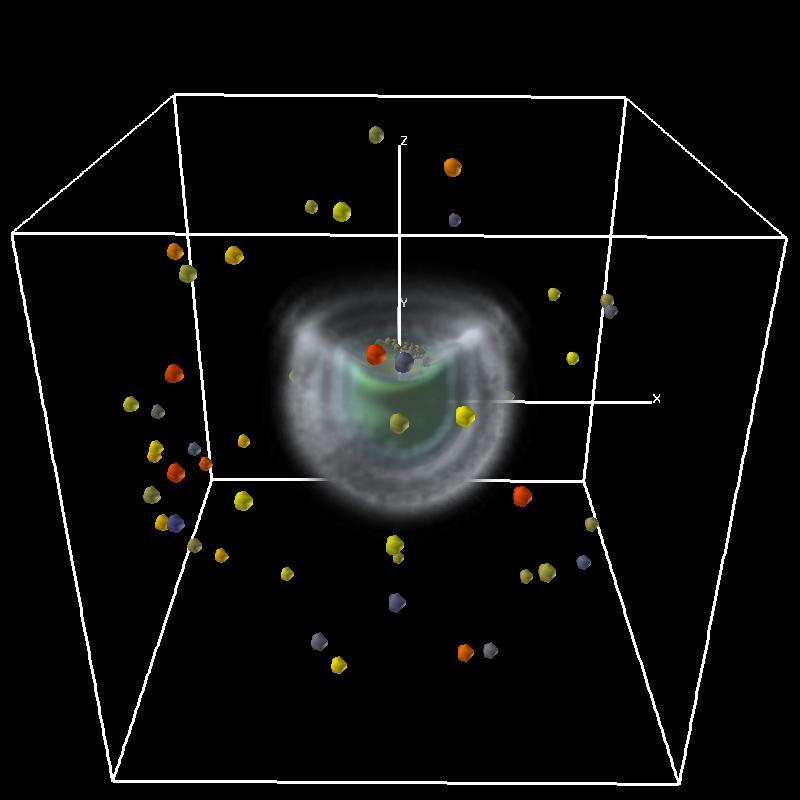 particle positions and transverse velocities), computed using IMPACT, for the beam propagating in the LEDA Halo Experiment. 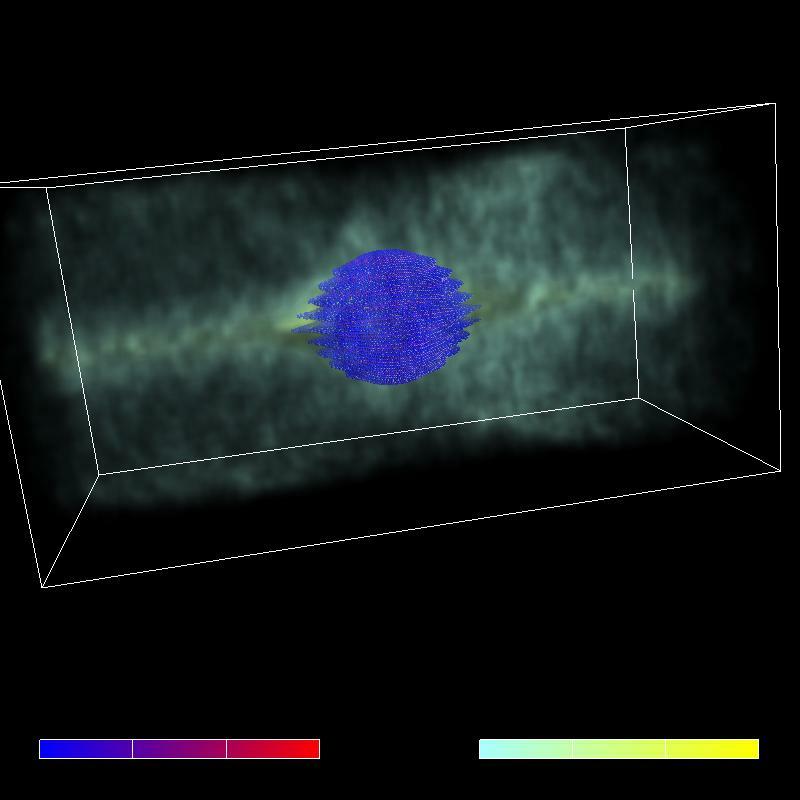 The colorbar shows the encoding of the magnitude of the velocities. More information. 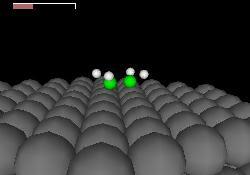 Electron-Atom and Electron-Molecule Collision Processes. Click here for more information. C. William McCurdy et al. 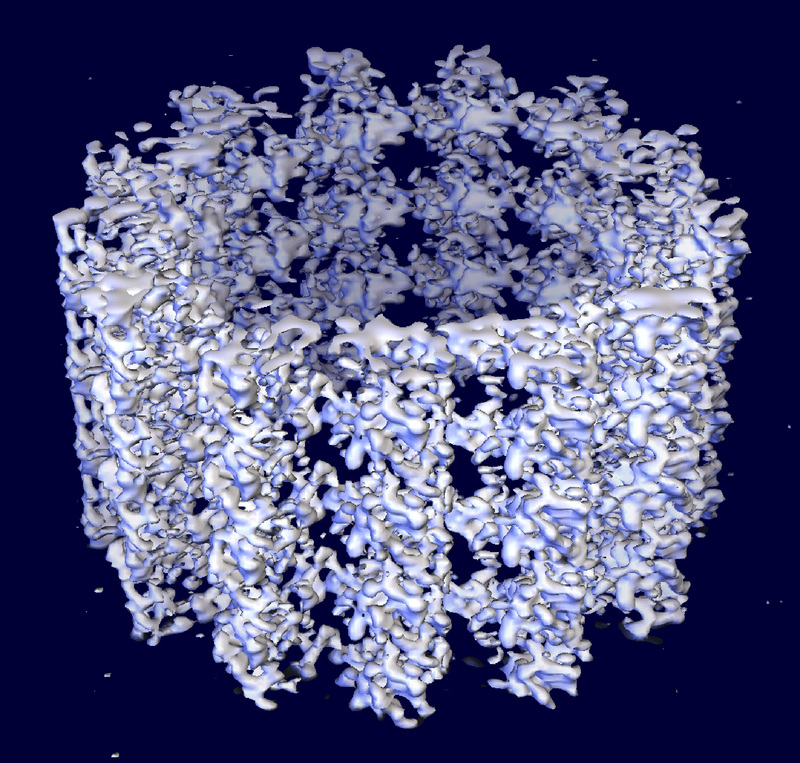 This 28 MB movie shows a time-evolving visualization of a numerical Tokomak simulation. (We found this movie in the dust bin, and are unable to provide appropriate citation information. If you know something about his work, please let us know and we'll provide the appropriate citation.) 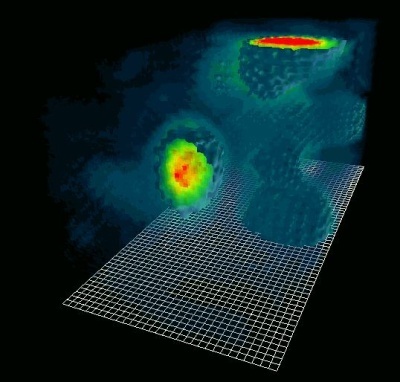 It was most likely computed by a research from the Princeton Plasma Physics Laboratory on a NERSC machine, with visualization performed by the LBL/NERSC Visualization Group. Other movies: vort_1.mpg, vorts_noscale.mpg, vorts_scale.mpg. 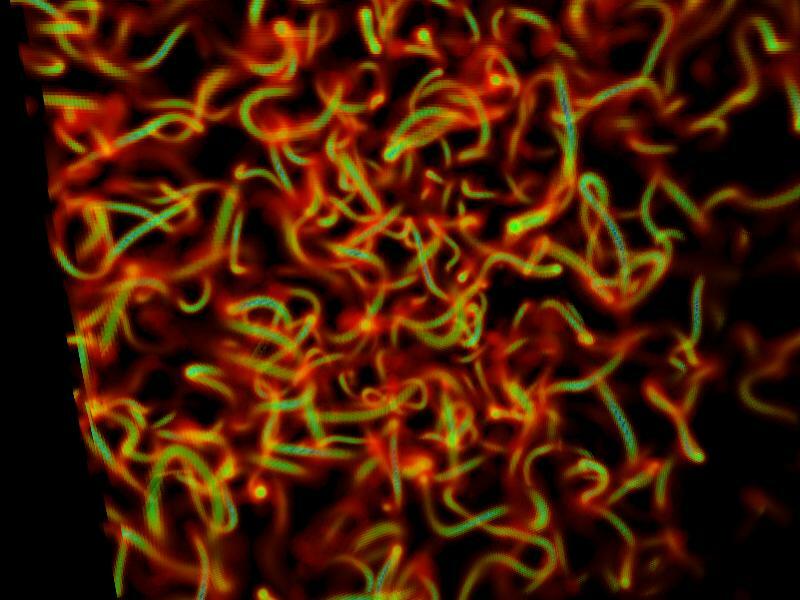 Semi-local cosmic string simulation performed at NERSC. More information. An understanding of Cs-smectite systems is necessary to predict the permeability of clay liners at nuclear waste containment facilities to 137-Cs radioactive waste. More information. The overall goal of this visualization is to highlight the differences between "layers" of molecular movement. 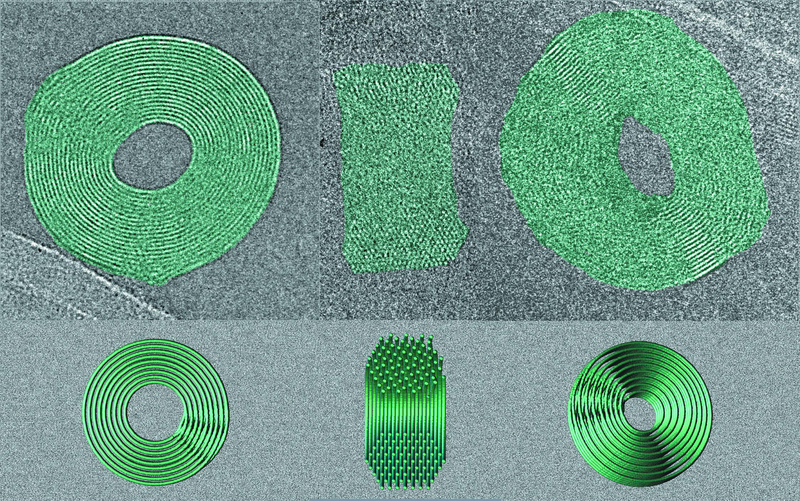 In particular, molecules closer to the surface (towards the top of the picture) appear to move more than those further away from the surface (lower in the picture). More information. These images show a theoretical chemical reaction: the dehydrogenation of ethylene. 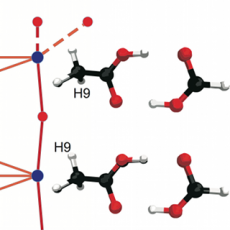 Two H atoms are removed from the ethylene C2H4 molecule upon interaction with a substrate of Nickel. More information. Researchers at Northwestern University are studying the enzyme beta-lactamase. Specifically, the research is focused upon uncovering the specific molecular mechanisms employed by the enzyme to hydrolyse penicillin G, thus rendering it biologically inactive. More information. 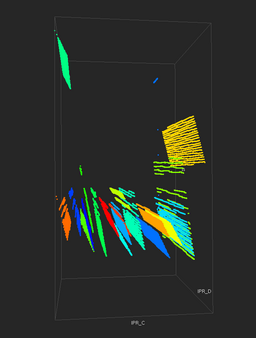 This project focused on visualization of quantum physics simulation data generated on the (then) new Cray T3E at NERSC. More information. G. Kilcup, The Ohio State University. 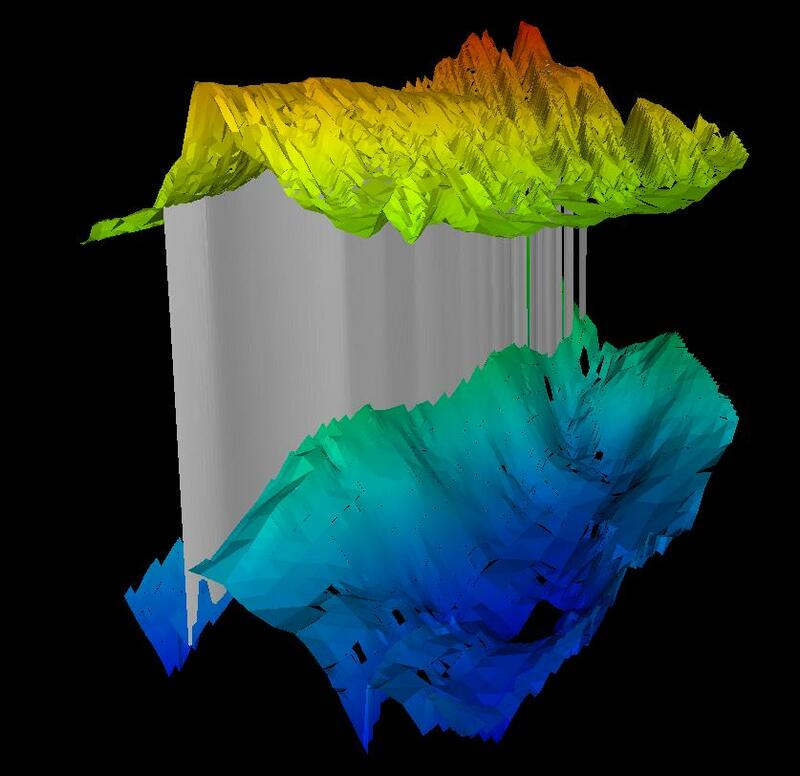 In a 1997 LDRD, Karsten Pruess (Earth Sciences Division, LBNL) and George Brimhall (Geophysics, UC Berkeley) studied and modeled geophysical and geochemical processes that resulted in an ore body of particular interest in the desert of the Andes Mountains in the El Salvador district of Chile. The images presented on this page show a collaboration with the Visualiztion Group. More information. K. Pruess, LBNL and G. Brimhall, UCB. 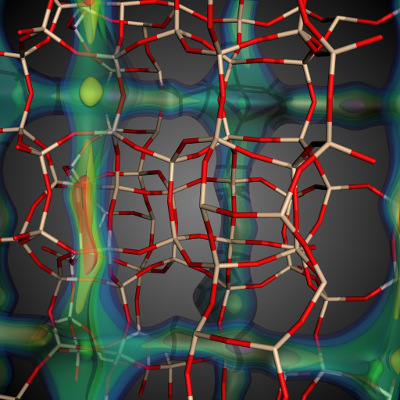 Reservoir characterization involves predicting production. Production is a function of geophysical and geochemical parameters. Typically, these parameters are estimated from samples. The challenge is better predictions of these unknowns, as well as better tools for calculating production given a set of parameters. 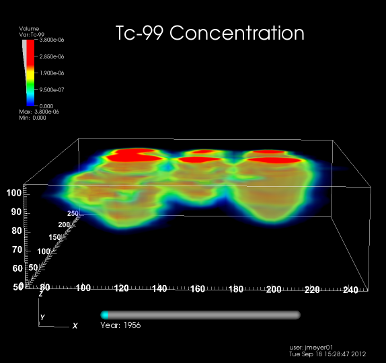 Two separate projects were demonstrated at Supercomputing 1997 in San Jose, CA. More Images. Don Vasco, Earth Sciences Division, LBNL. Spring 1997: The VisGroup is working with scientists in ESD to create a visualization showing the Yucca Mountain storage facility. 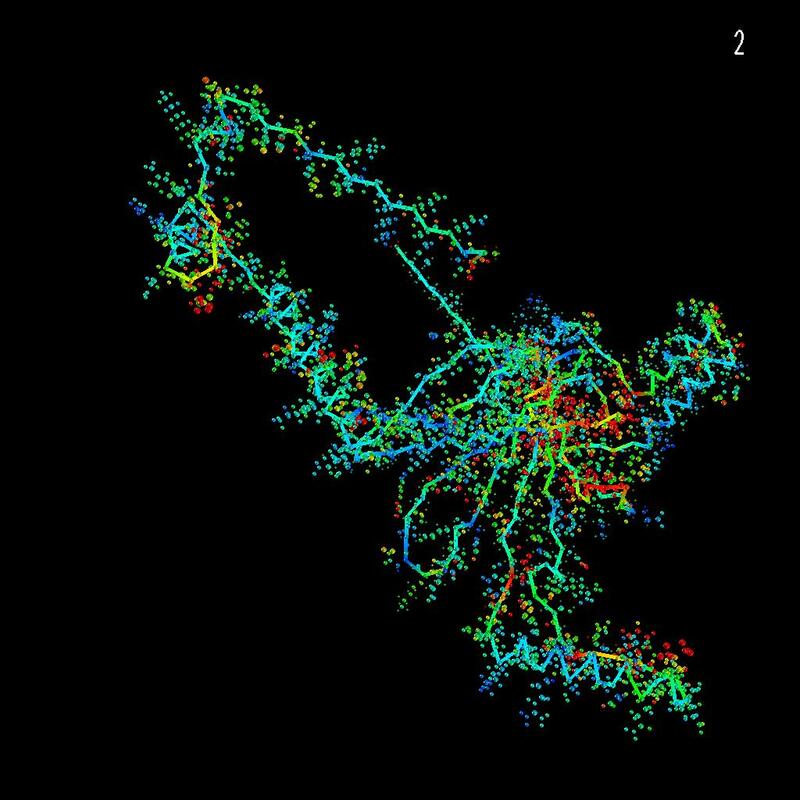 This visualization integrates divergent types of data, and will be used to ask "what if" questions pertaining to water flow through the site. Look for this model soon in in LBNL's Washington DC office. More information. Mark Feighner, Earth Sciences Division, LBNL. 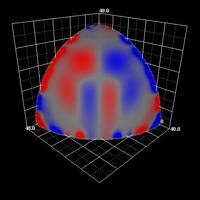 Material Science research relies heavily on the use of Nuclear Magnetic Resonance (NMR) to study materials. Researchers at LBNL and UC Berkeley are working with the Visualization Group to explore the results of computer simulations of NMR physics run on the NERSC T3E. More information. 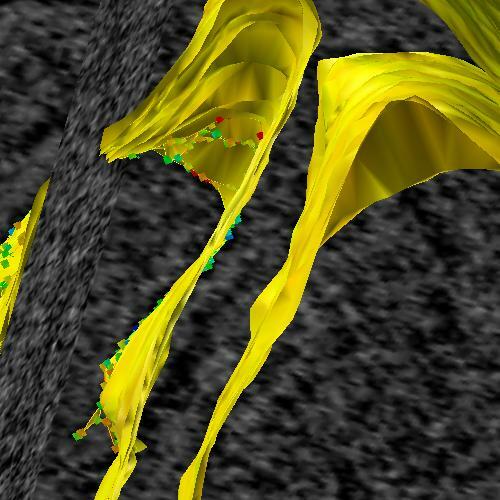 Radiation damage to DNA and the repair thereof is being investigated at LBNL by the Department of Radiation Biology and DNA Repair in the Life Sciences Division. 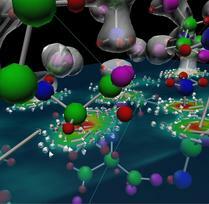 Data sets contain tens of thousands atoms are generated. Hierarchical methods of visualization are being investigated on these data sets. More information. 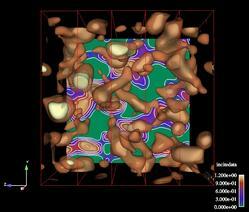 Reservoir characterization involves predicting production. 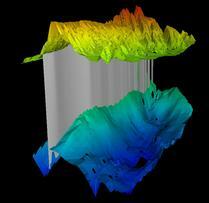 Production is a function of geophysical and geochemical parameters. Typically, these parameters are estimated from samples. The challenge is better predictions of these unknowns, as well as better tools for calculating production given a set of parameters. Two separate projects were demonstrated at Supercomputing 1997 in San Jose, CA. More Information. 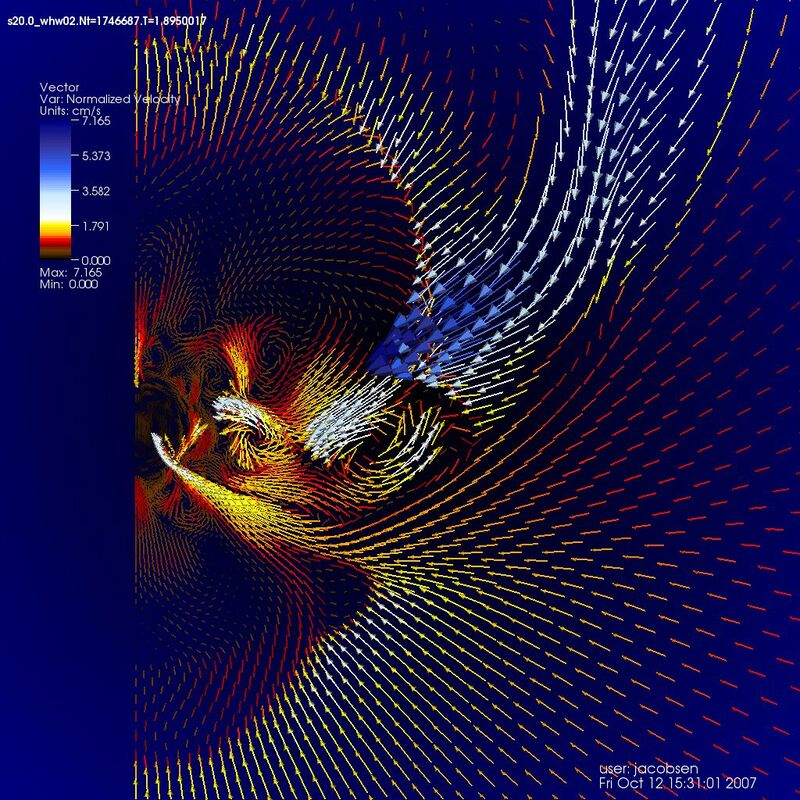 Our earliest work in combining scientific visualization, virtual reality and scientific computing occured in late 1992 and early 1993 with researchers from LBL's Earth Science Division. More information.